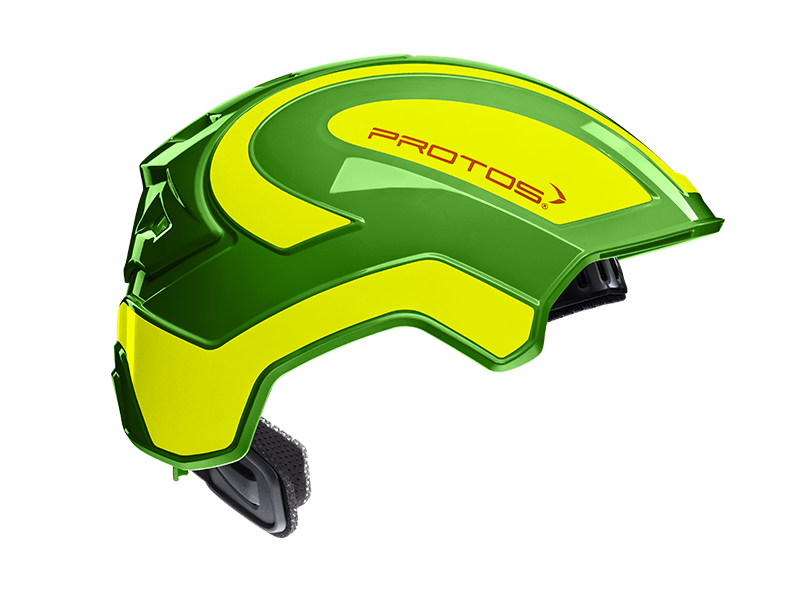 Each PROTOS® version is based on the base model (Industry). Thus, you will all have the same shell along with an uncomplicated, modular principle. 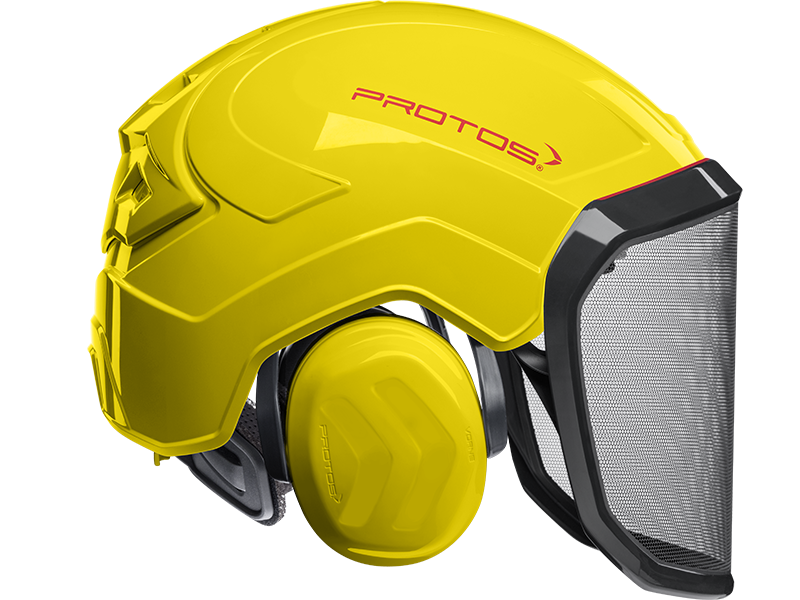 This principle makes it possible for any accessories, such as the PROTOS® Integral Protective Glasses, the PROTOS® Integral Metal Visor or the PROTOS® Maclip Torch to be easily and automatically added or removed. Being certified in accordance with EN397 Industrial Safety Helmet (INDUSTRY/FORESTRY) embodies AS/NZ1801, EN352-3 Hearing Protection, EN1731 Facial Protection (G16/F39) EN12492 climber helmet (CLIMBER/ARBORIST chin strap) and EN1078 cycling/skiing. 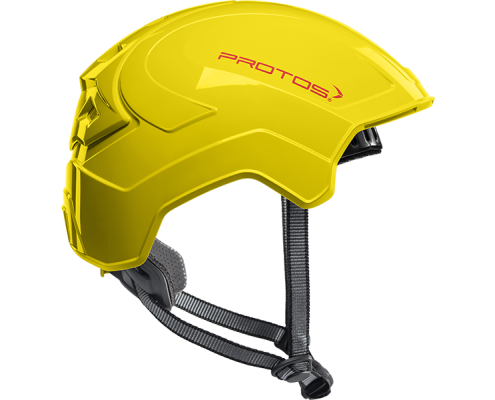 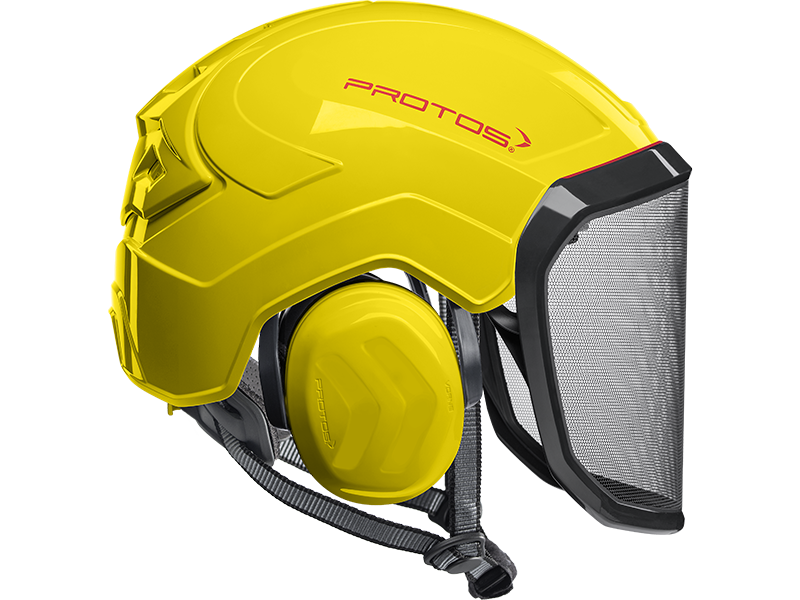 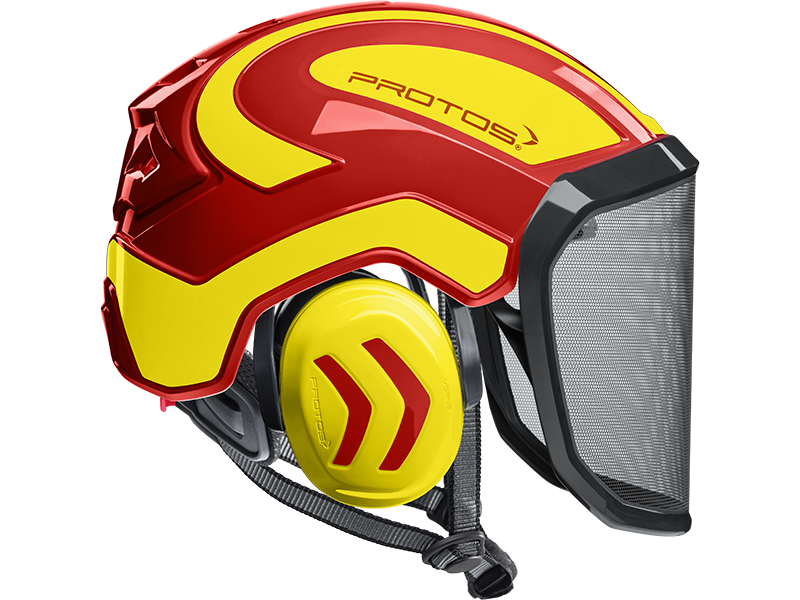 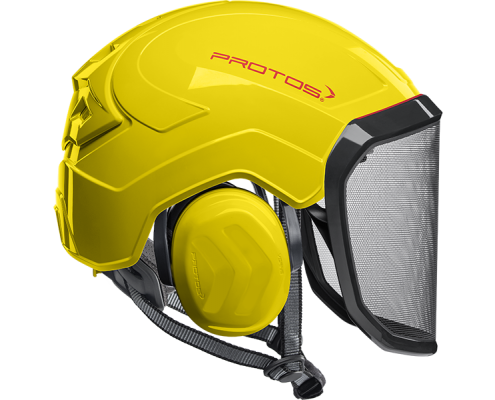 The PROTOS® Integral system can be adapted within seconds to industry, forestry, tree care, rescue, skiing, cycling and climbing applications. 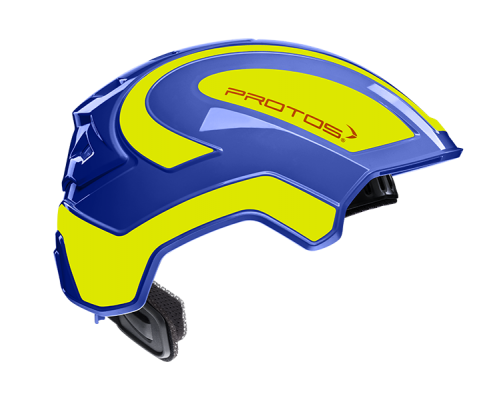 Despite all their individuality, the various model types have one thing in common: Upmost safety, best wear comfort and unique technology standards, all have been top priorities during development. 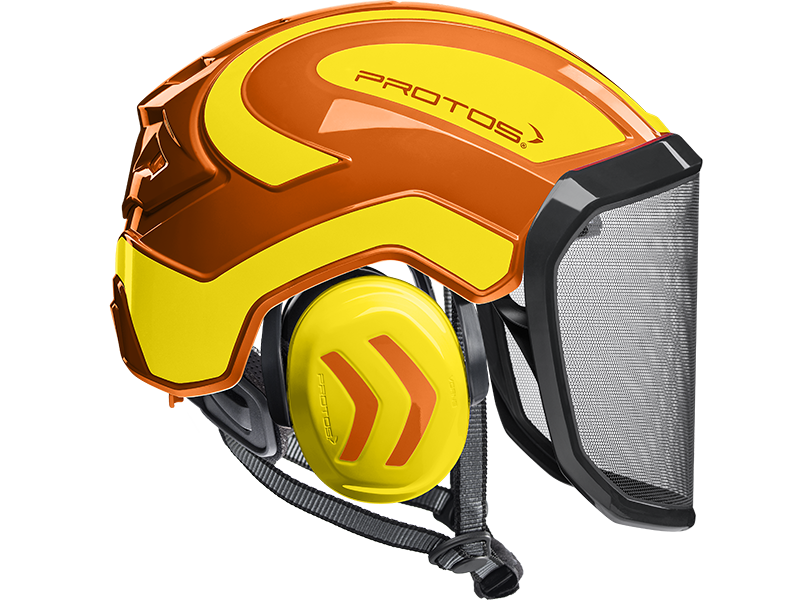 SAFE AND COMFORTABLE ON EVERY CONSTRUCTION SITE. No matter whether for structural, underground, or road constructions as well as canal and tunnel work or other industrial activities – when the head is in danger, the proper protection according to EN 397 is indispensable. 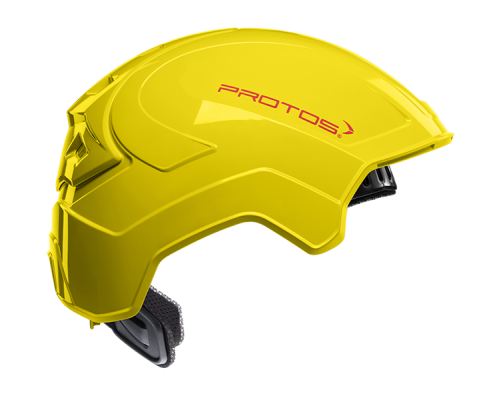 The PROTOS® Integral Industry has been developed for these daily applications and beyond them. 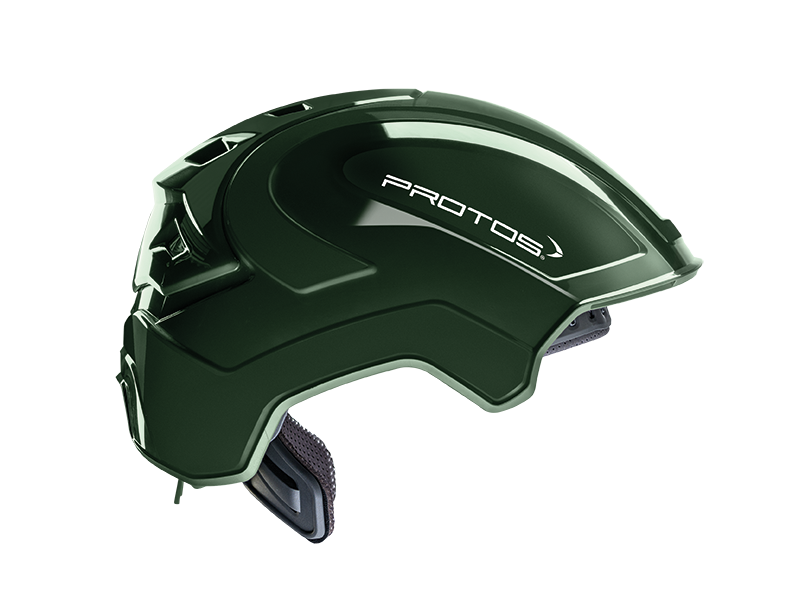 Unprecedented wear comfort and safety that surpasses all standards by far, protect the head better than ever. 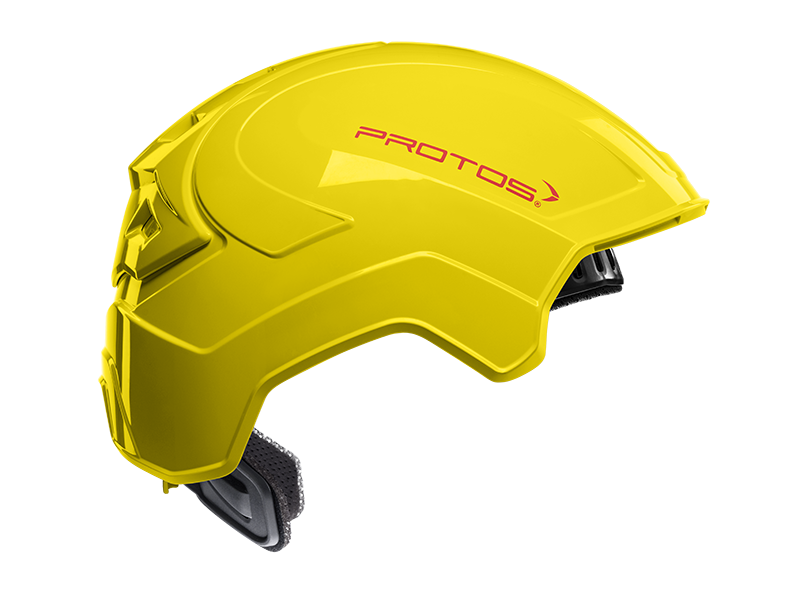 Thanks to the modular principle, the PROTOS® Integral Industry can also be upgraded for other missions at any time. 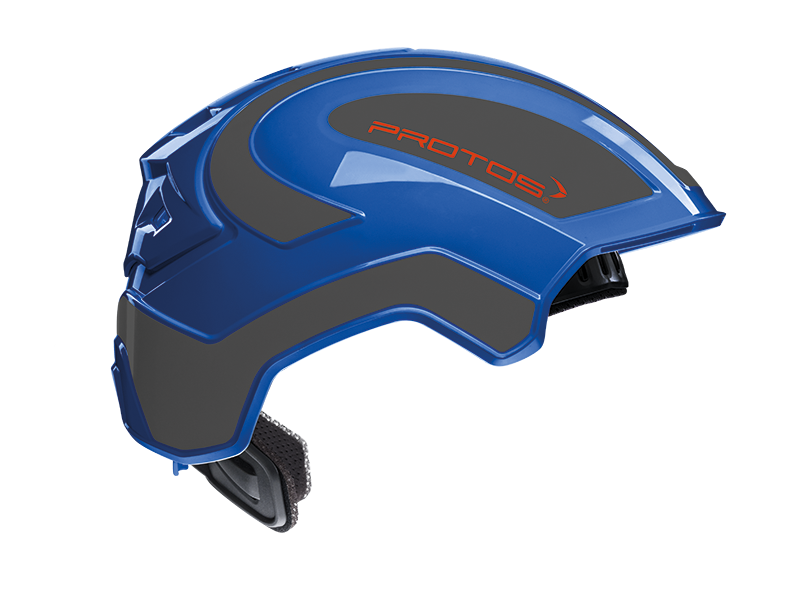 A head protection for all application areas. 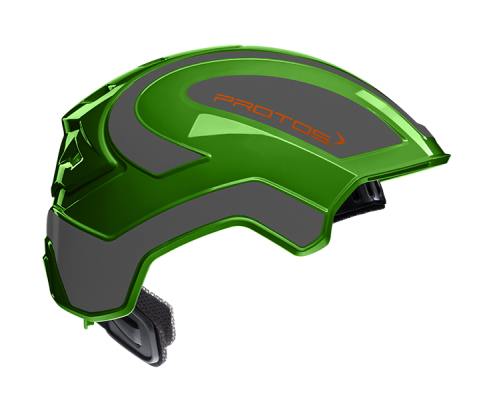 Further national and international patents and designs are pending, in particular for the interior equipment. 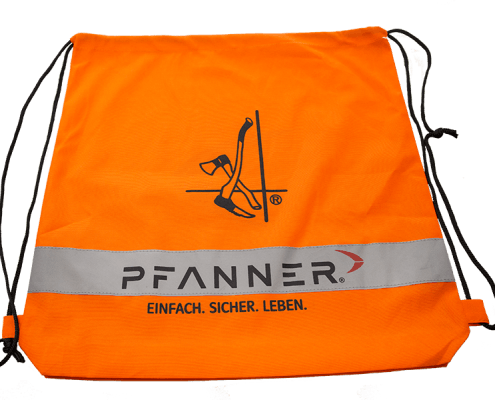 YOUR RELIABLE PARTNER WHEN WORKING AT HEIGHT. 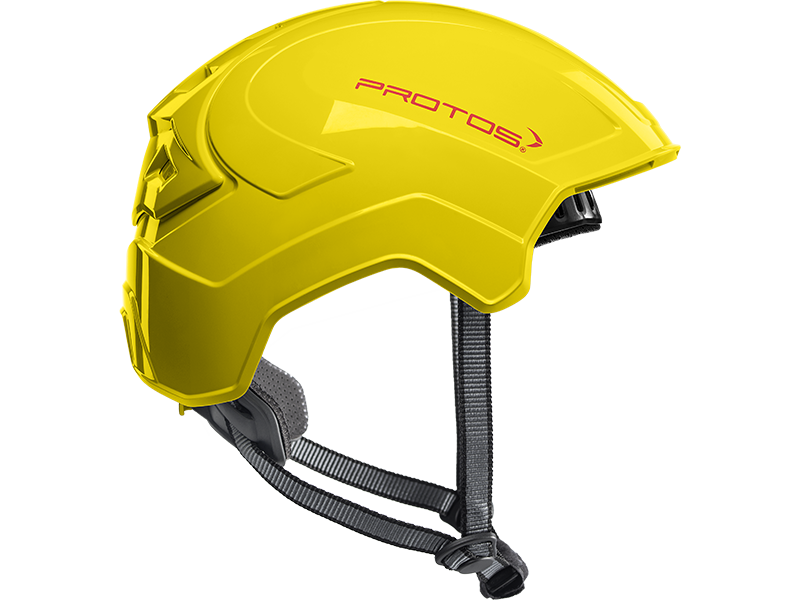 The PROTOS® Integral Climber is the first choice for safety conscious climbing operations. Your ultimate partner when working at height. 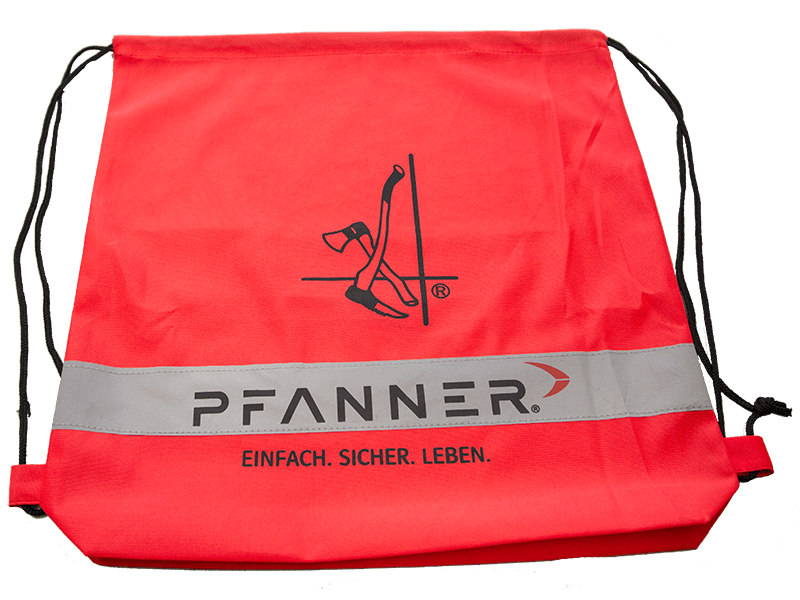 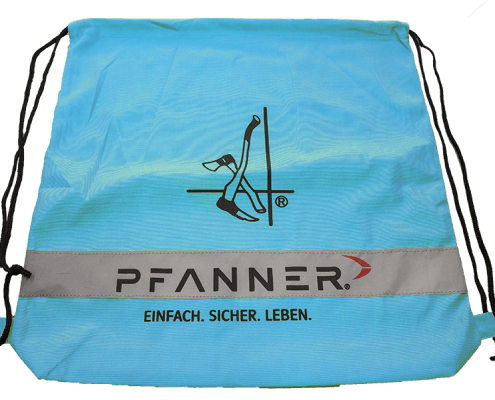 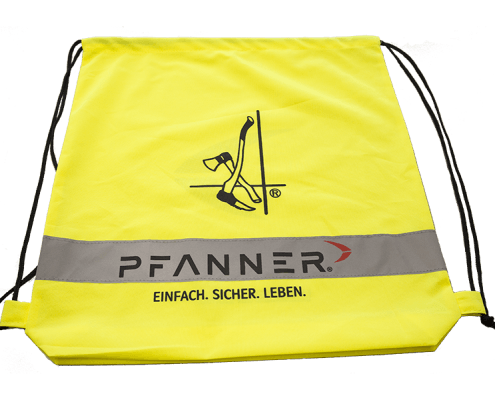 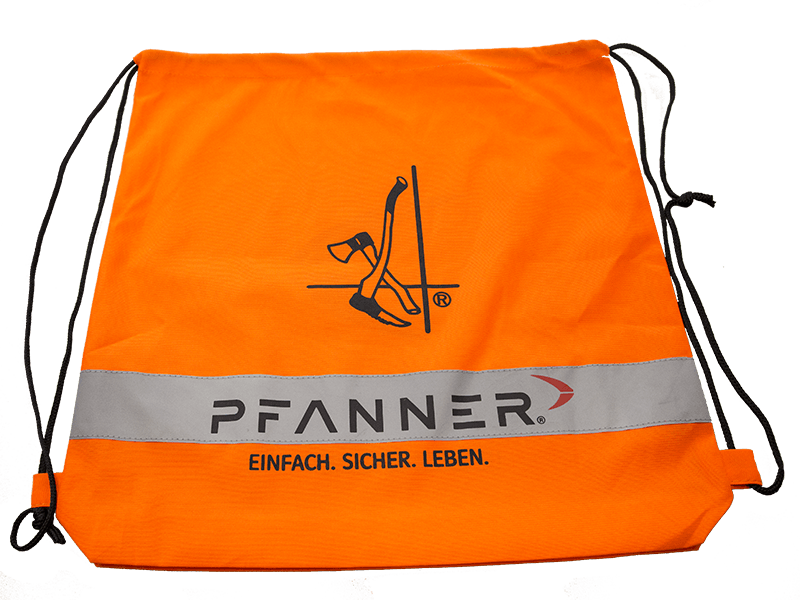 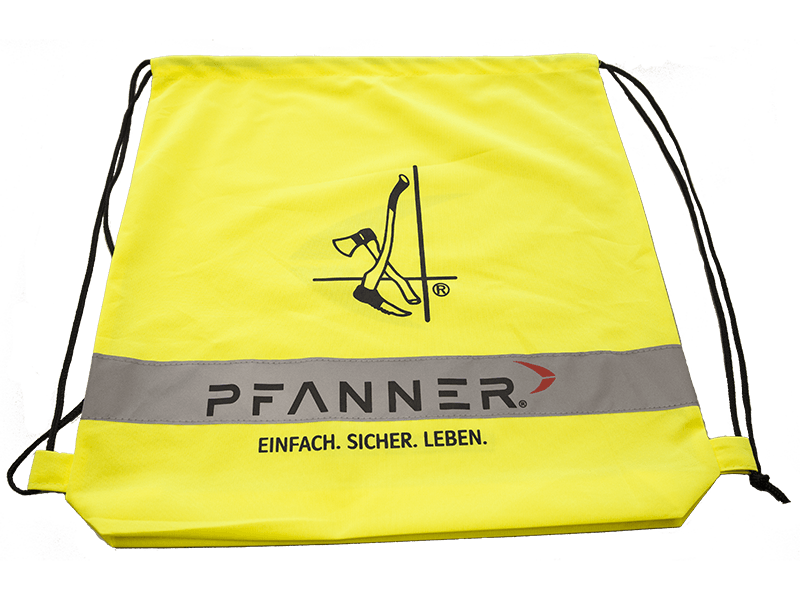 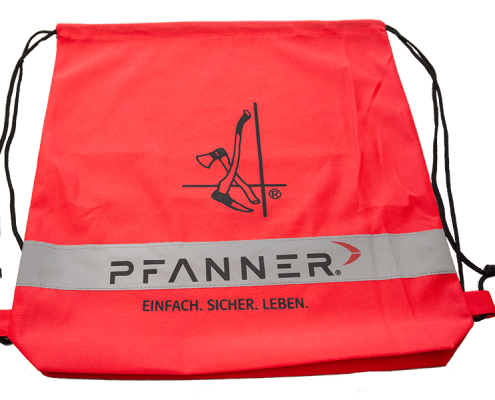 It is also suitable for the technical rescue for accident and from heights. 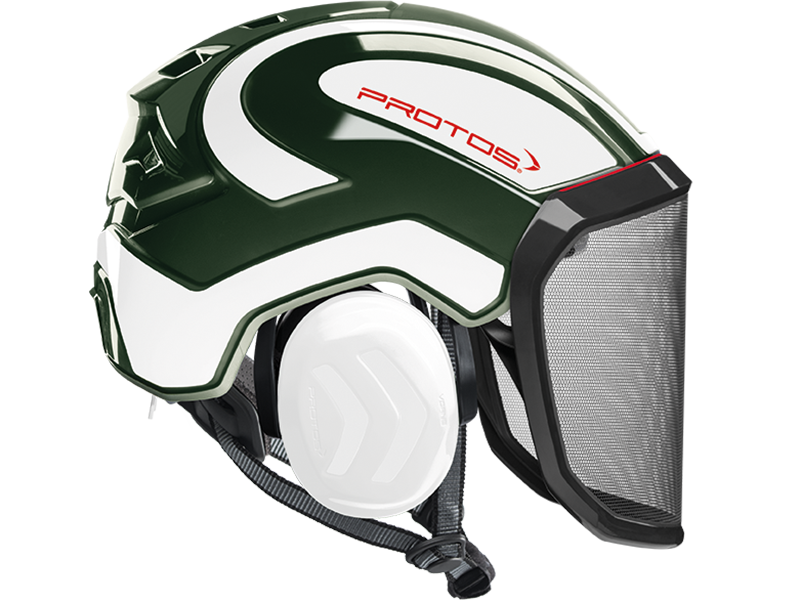 Thanks to the modular principle, the PROTOS® Integral Climber can also be equipped for other missions. The profound neck shell of the ­PROTOS® Integral prevents slipping, even when working overhead. The ­PROTOS® Integral Climber is equipped with the CrashAbsorber. 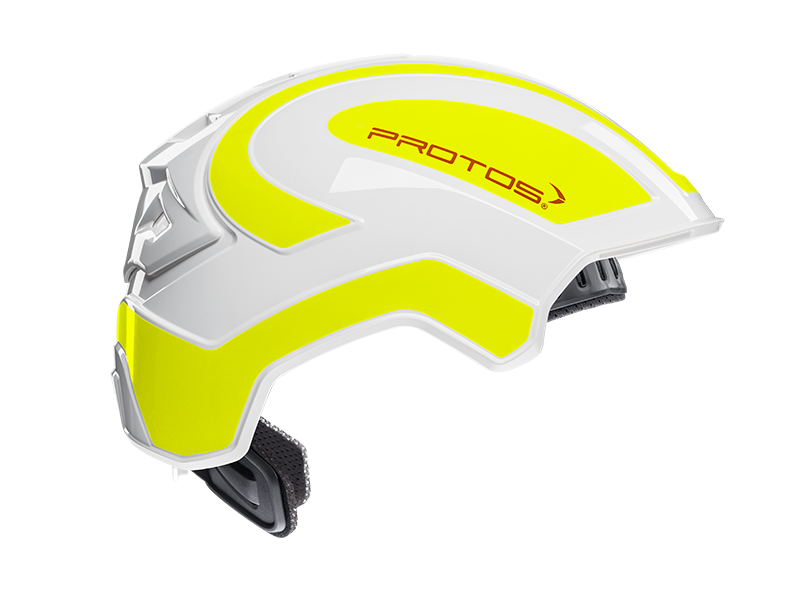 This consists to 95 % of air, offers 5-times more shock absorption and leaves the air circulation in the PROTOS® unaffected. 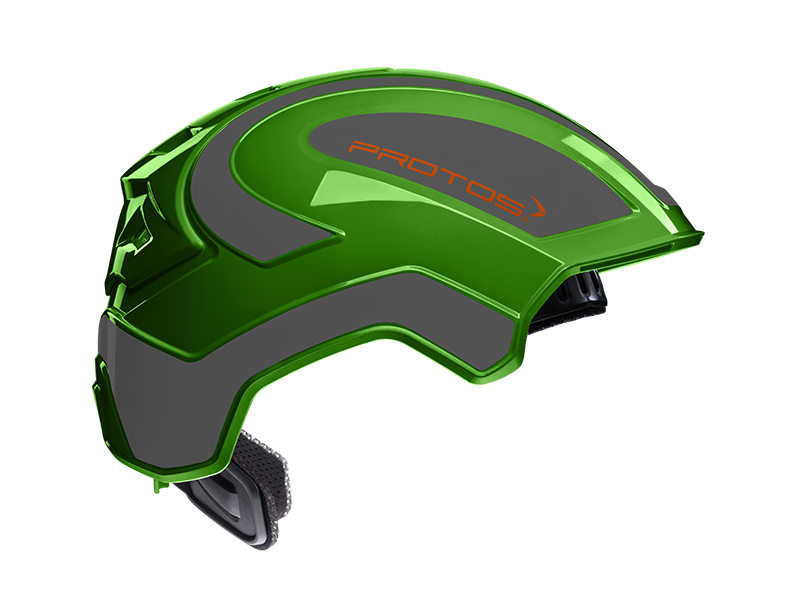 Further national and international patents and designs are pending, in particular for the interior equipment as well as the CrashAbsorber. 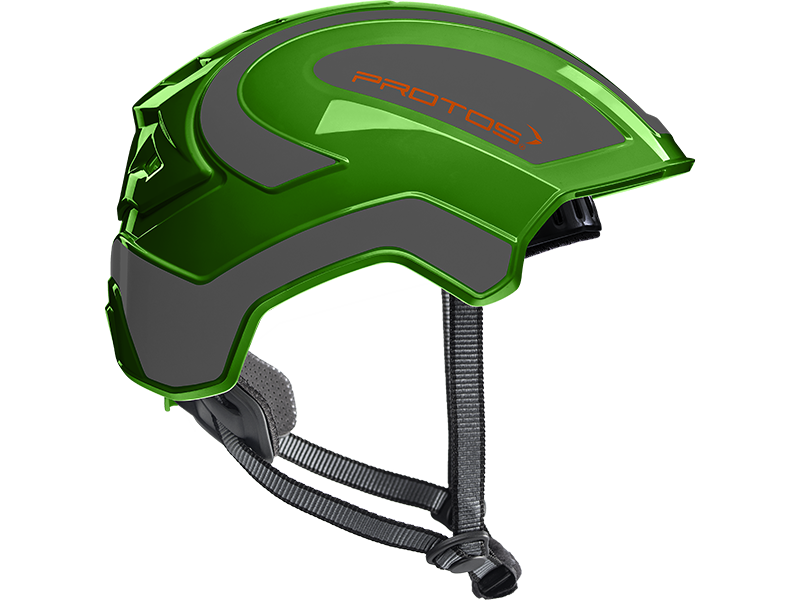 YOUR BOUNDLESSLY ENDURING PARTNER IN THE FOREST. 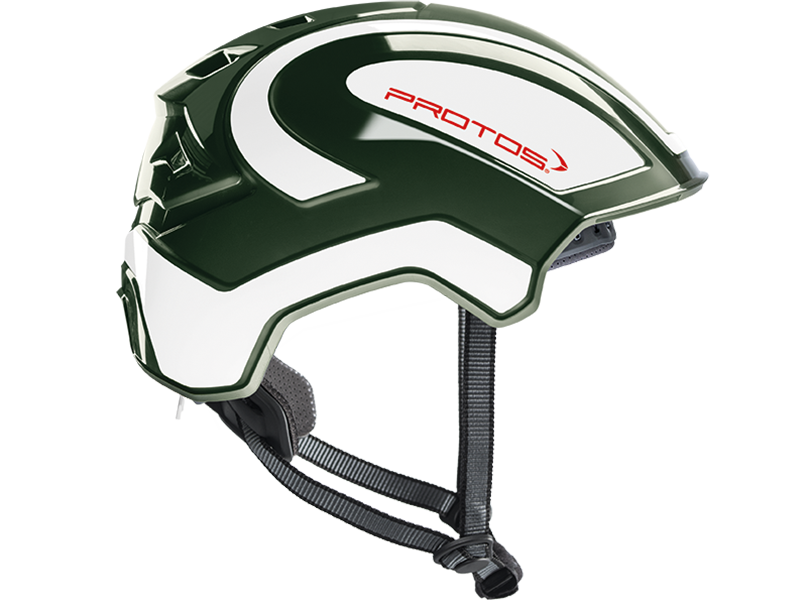 The Integral Solution makes the PROTOS® Integral Forest unique. All components have been integrated within the helmet shell, so that it is no longer possible to get stuck on branches, bushes or other obstacles. The PROTOS® was developed specifically for the forest and is tailored to the most dangerous area of application. 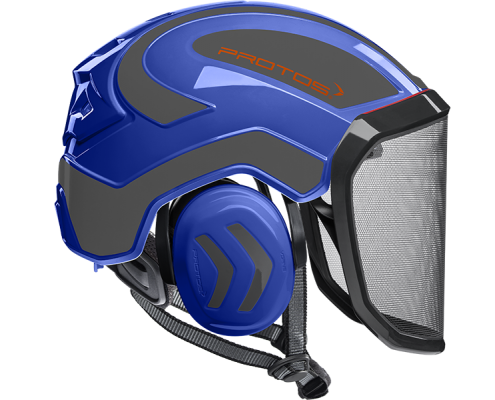 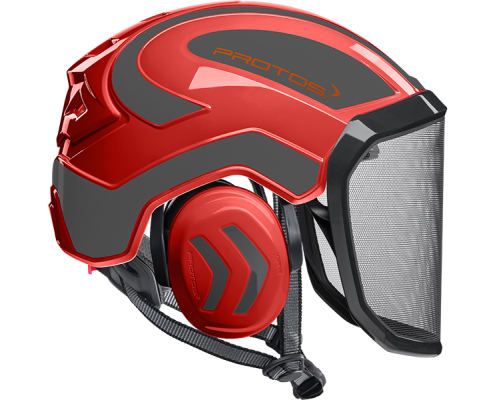 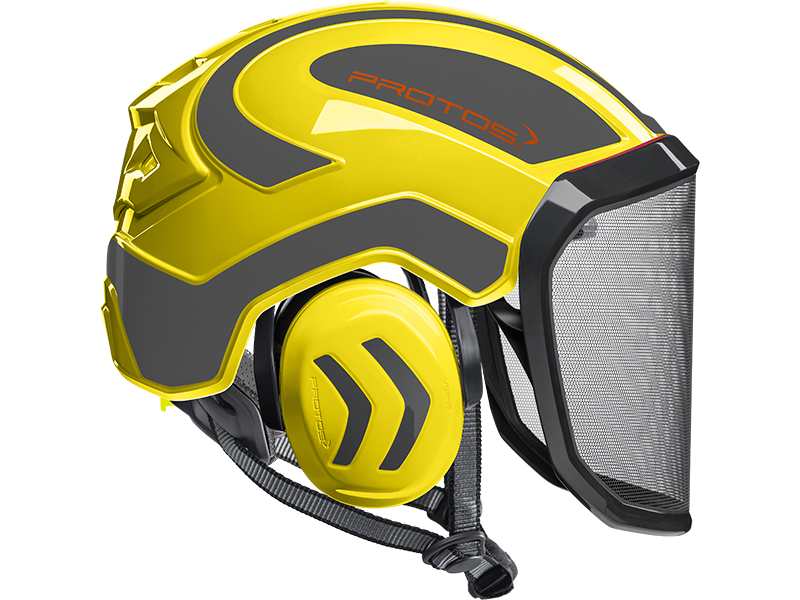 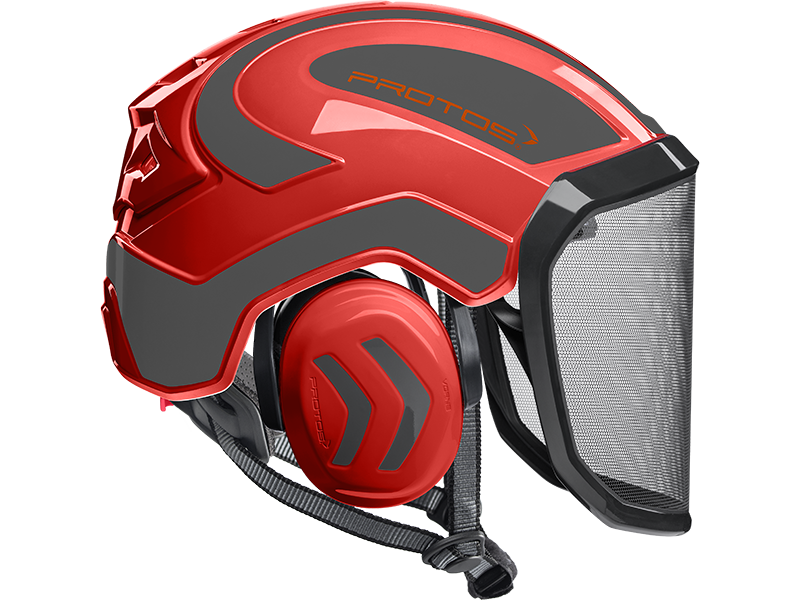 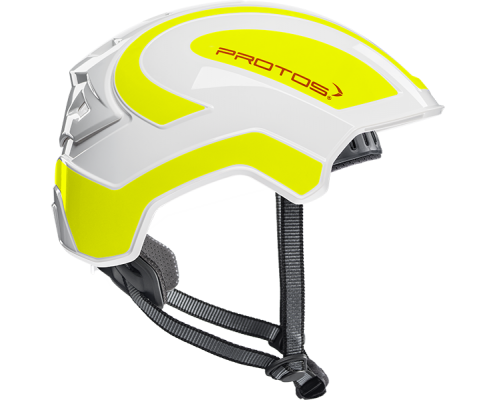 The 2-color design ensures increased visibility and the profound neck shell protects the back of the head in case of an impact or fall. The ventilation gate not only offers a plus in wear comfort but also serves as an additional bumper in case of impact, before the forces act on the main shell. Further national and international patents and designs are pending, in particular for the interior equipment, the visor (incl. 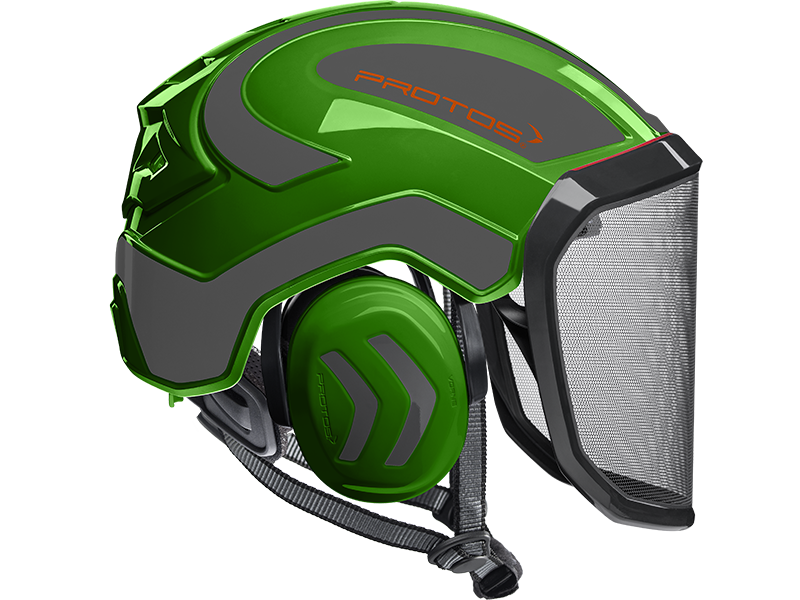 face mask with elastic damping and sealing lip) and the CrashAbsorber. A SAFE FEELING – IN THE AIR AND OVERHEAD. 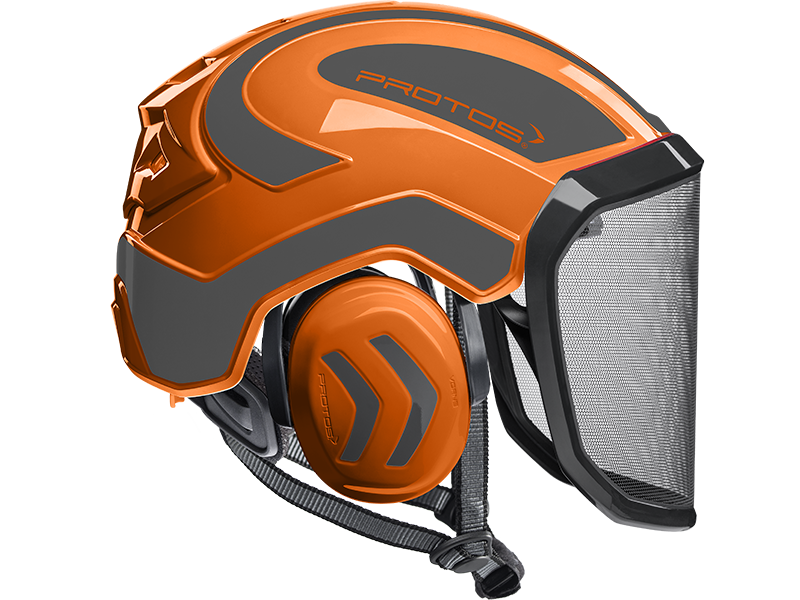 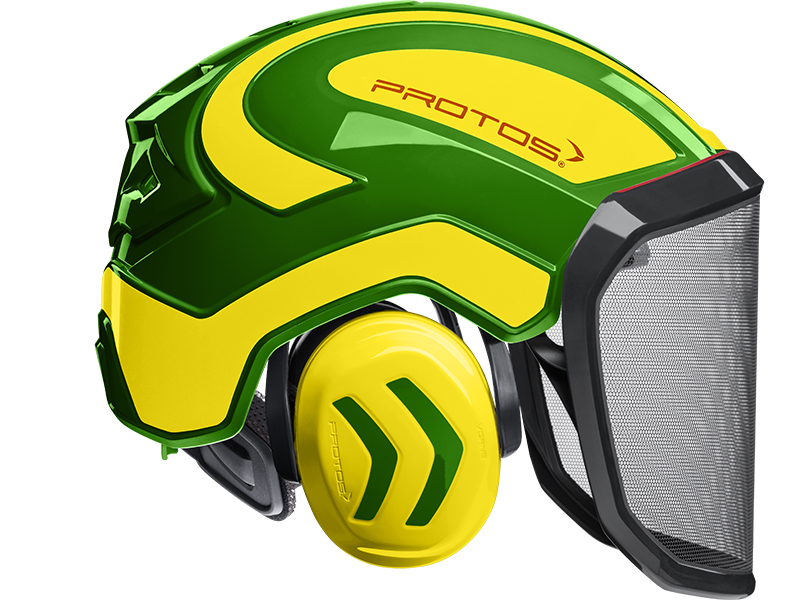 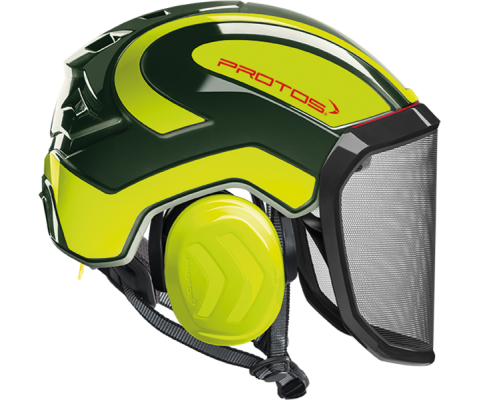 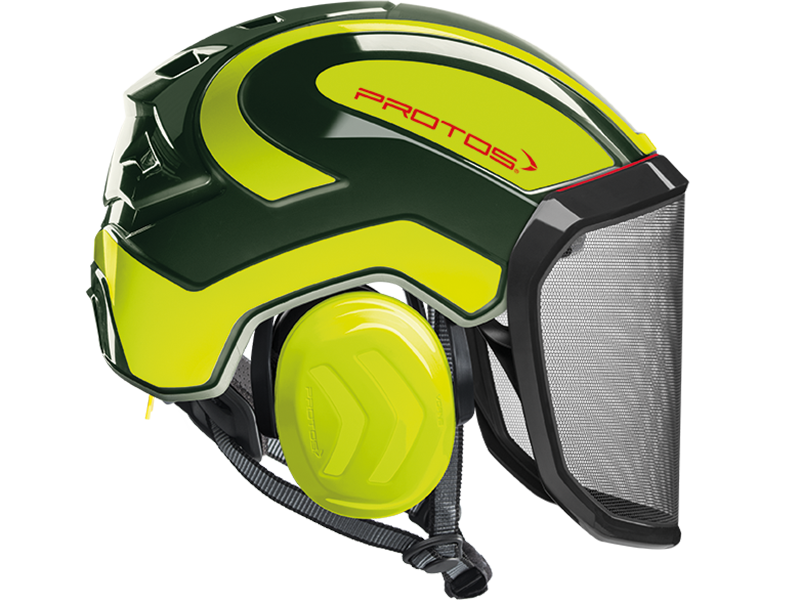 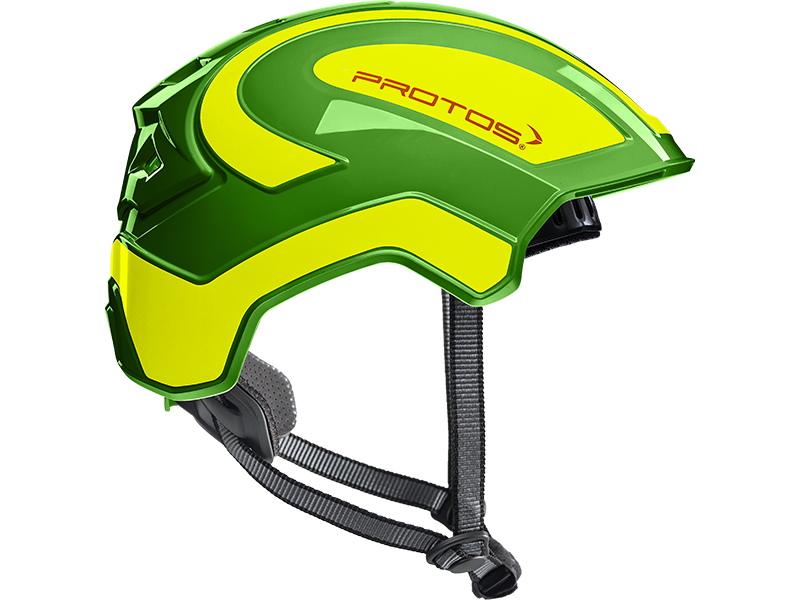 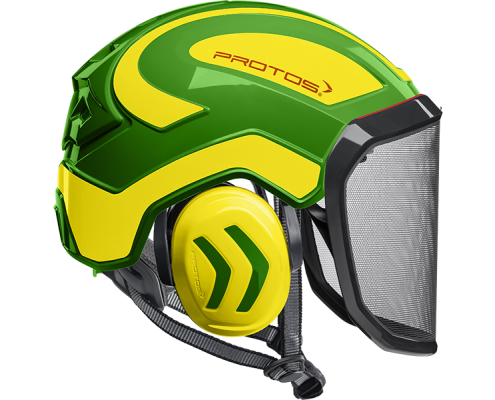 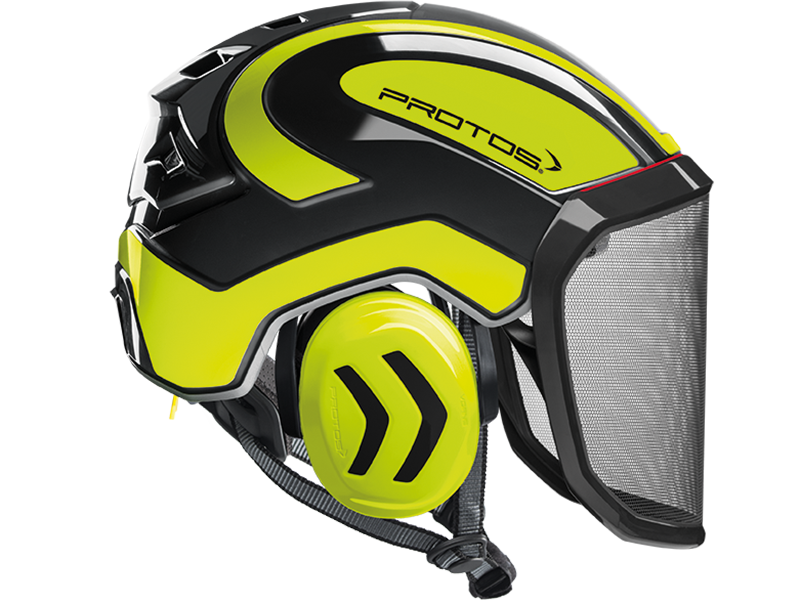 The perfect fit and optimum hold of the PROTOS® Integral Arborist make it perfect for work at height, where face protection is indispensable. 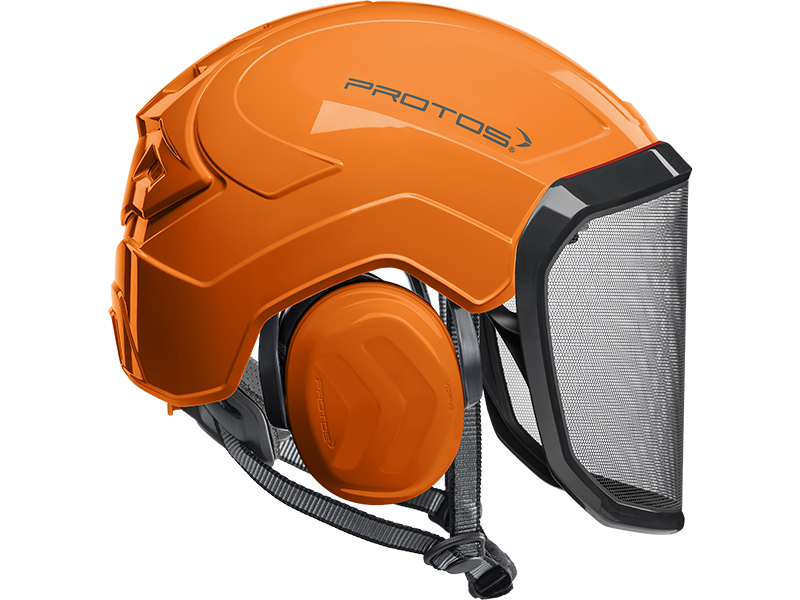 The hearing and face protection are integrated into the shell of the head protection and thereby prevent snagging on branches and protruding parts. 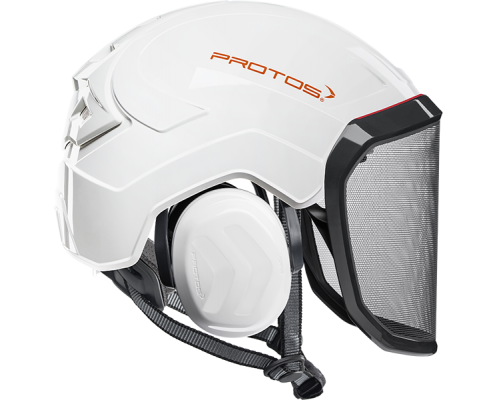 The special design of the PROTOS® Integral allows the cooling air to flow in from all sides and to escape through the ventilation gate. 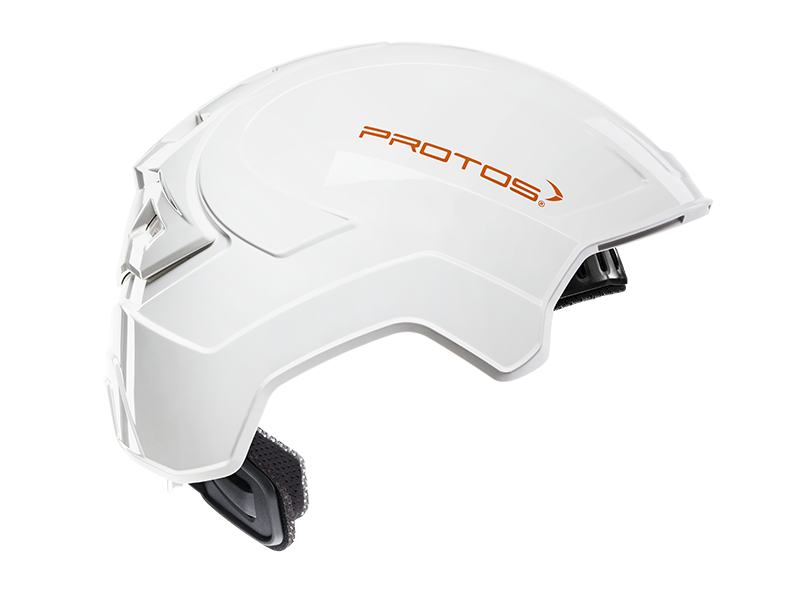 This ensures that the head does not over heat even during the most strenuous activities. 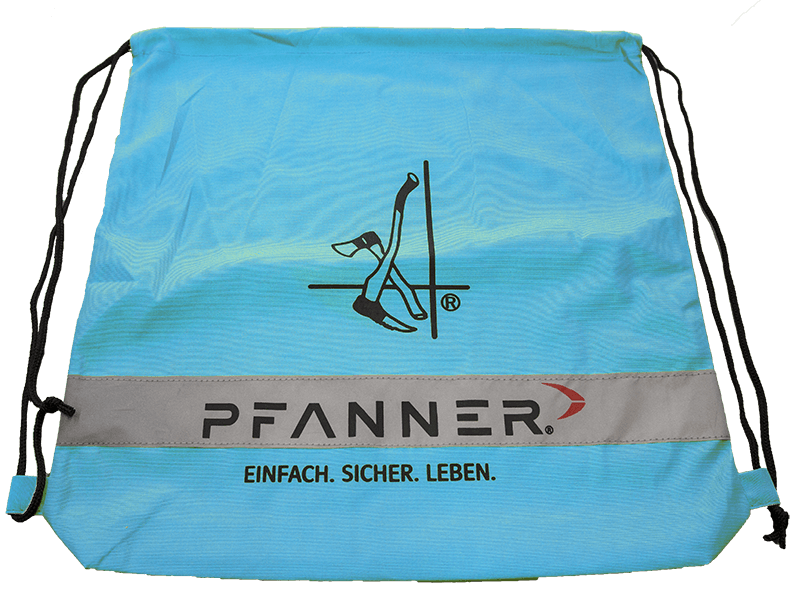 After tiring work the KlimaAIR® Set can be exchanged and washed at 30° C to maintain the hygiene. The guide of the chin strap is designed so that it cannot slip under the hearing protection where it would affect the noise reduction or the wearing comfort. 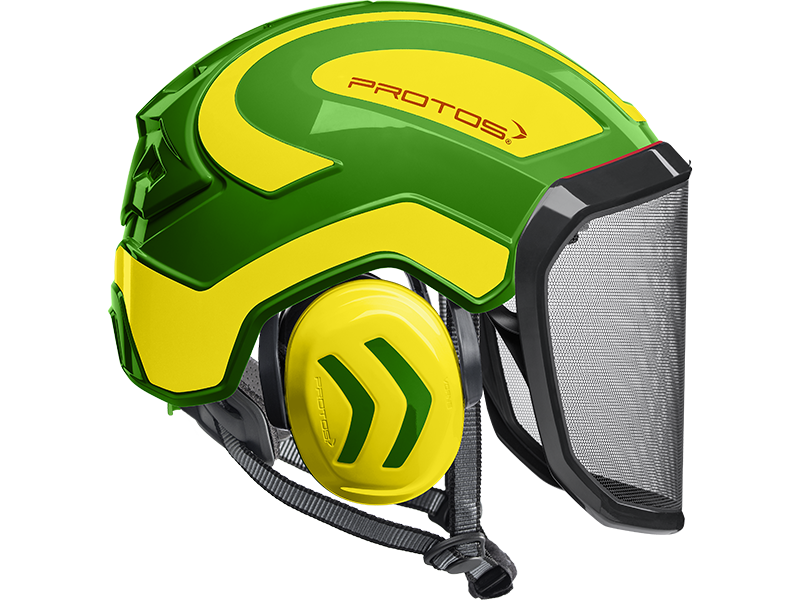 The PROTOS® Integral Arborist is of course certified according to ­EN 397 and EN 12492 which embodies AS/NZ1801. 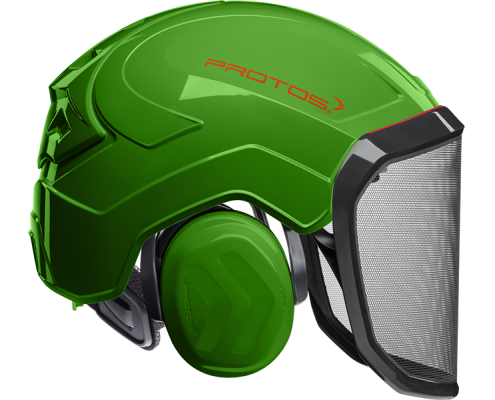 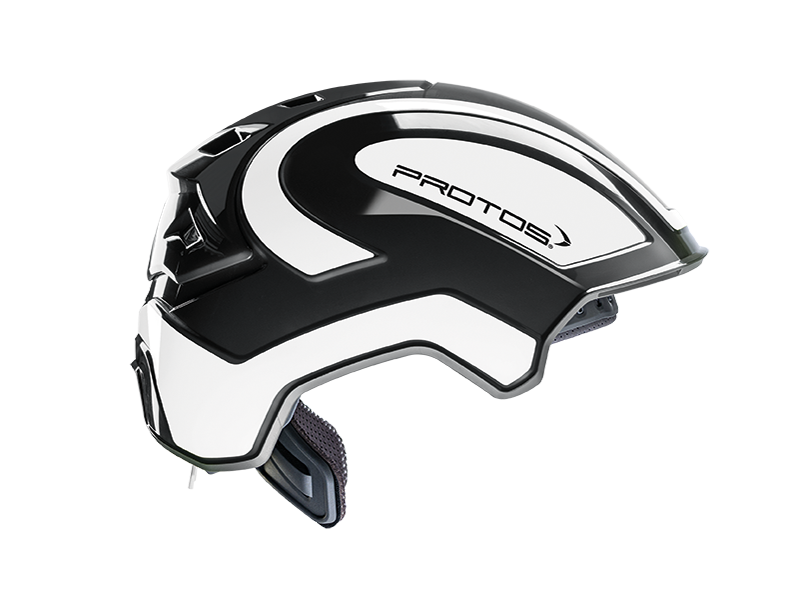 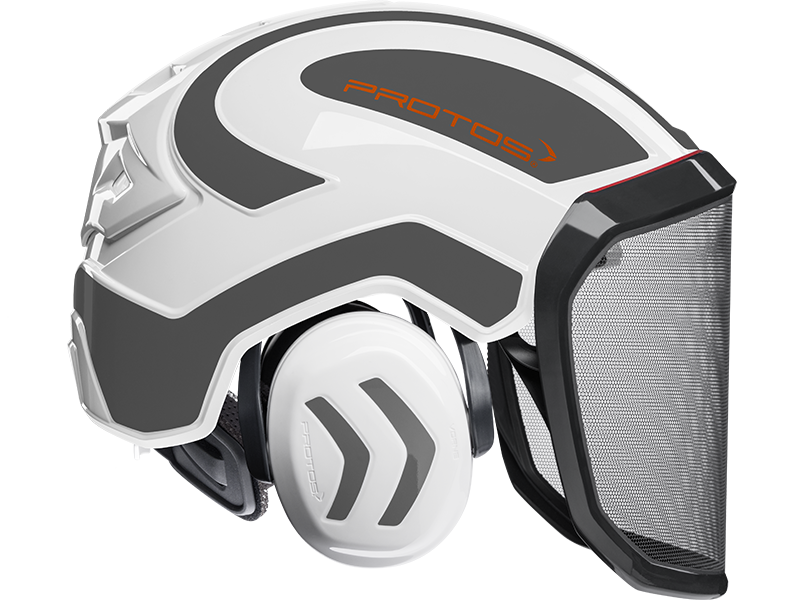 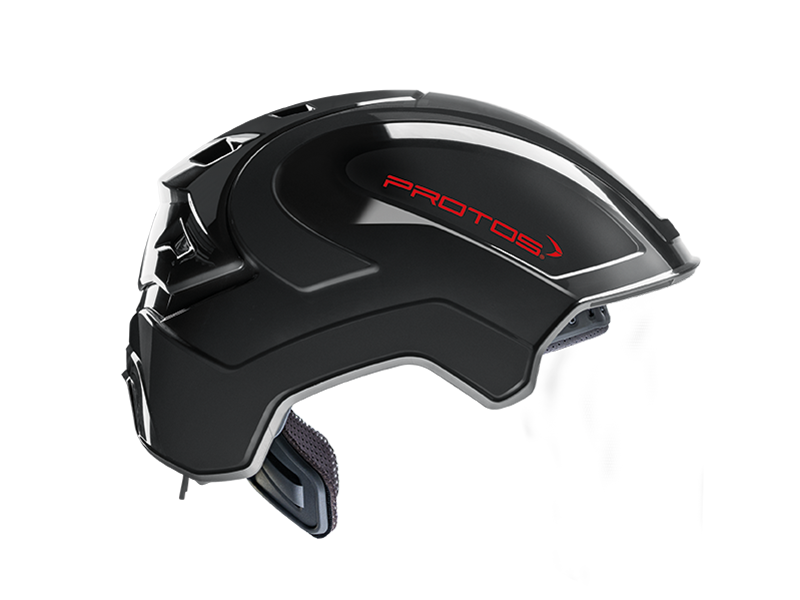 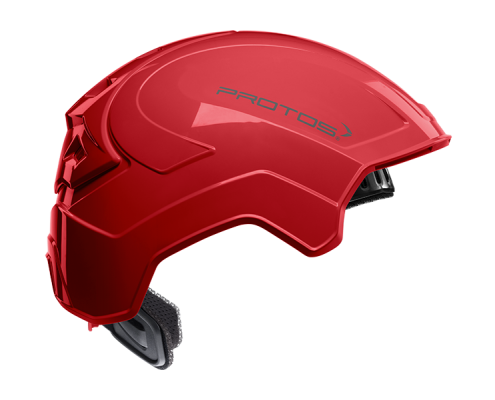 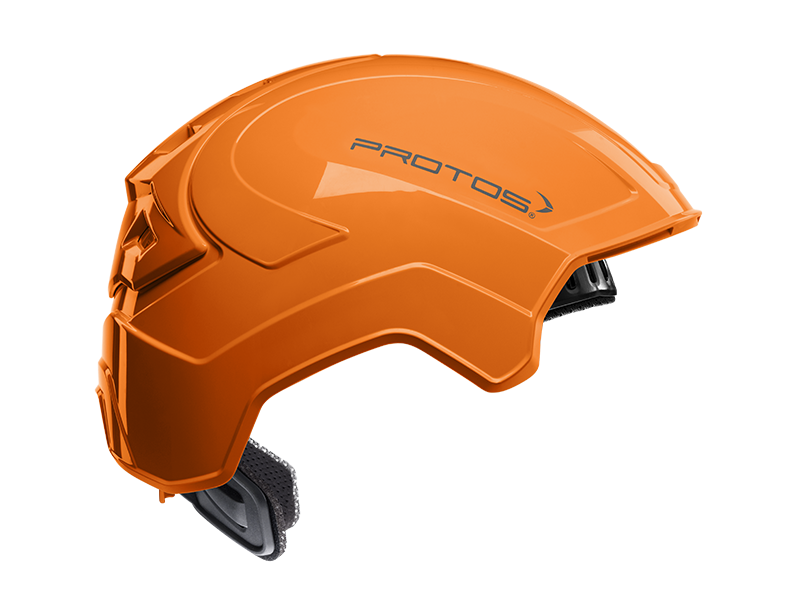 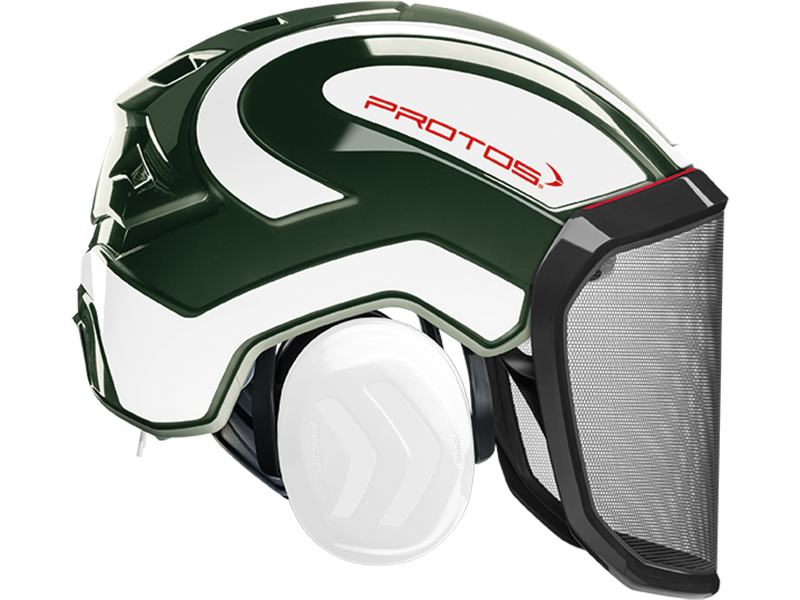 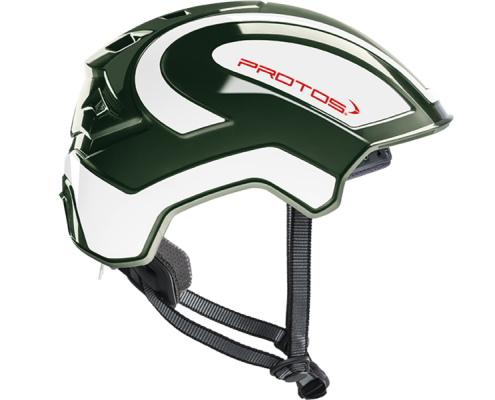 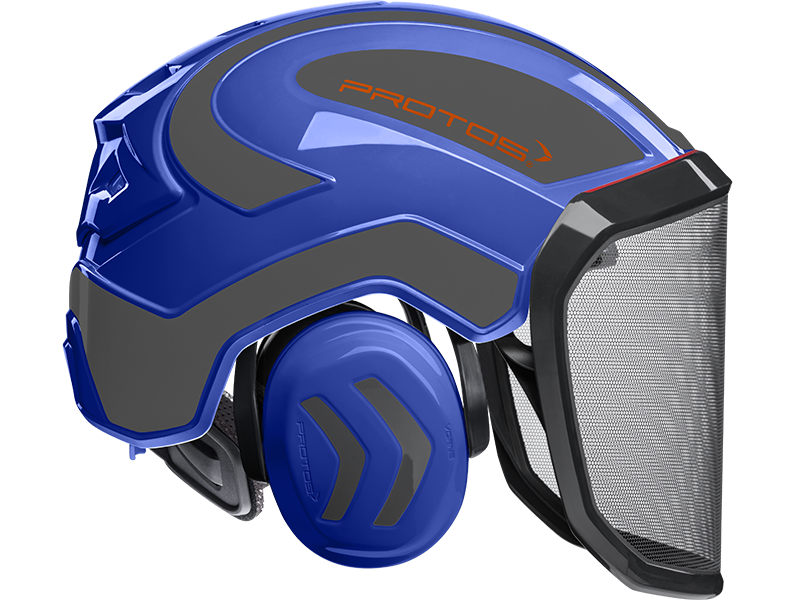 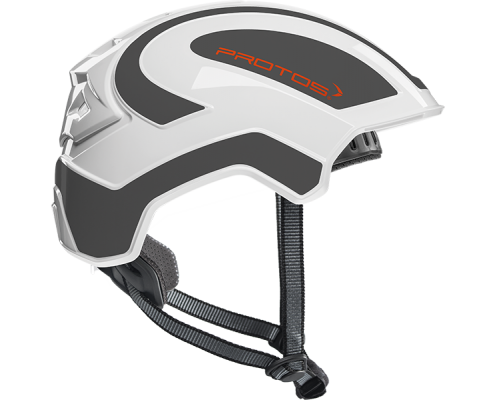 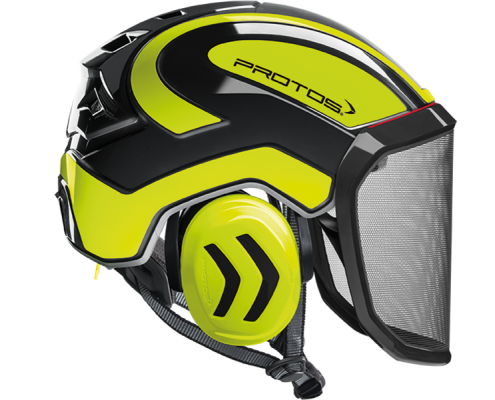 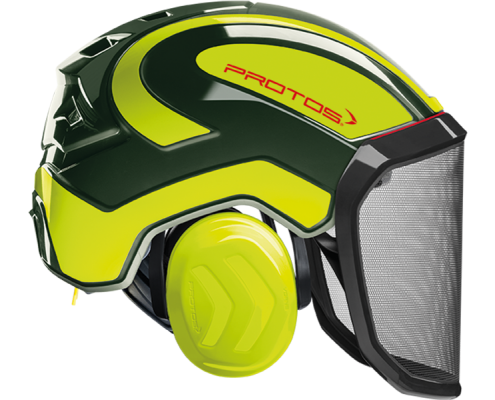 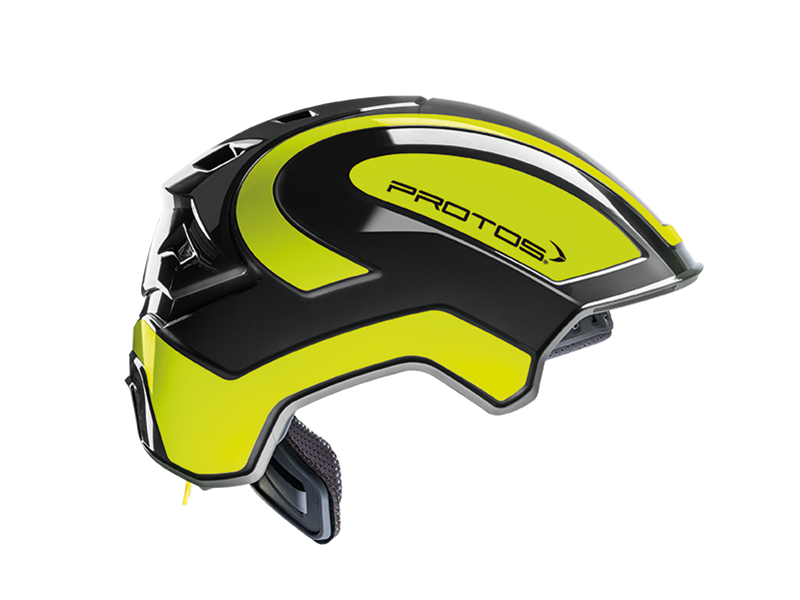 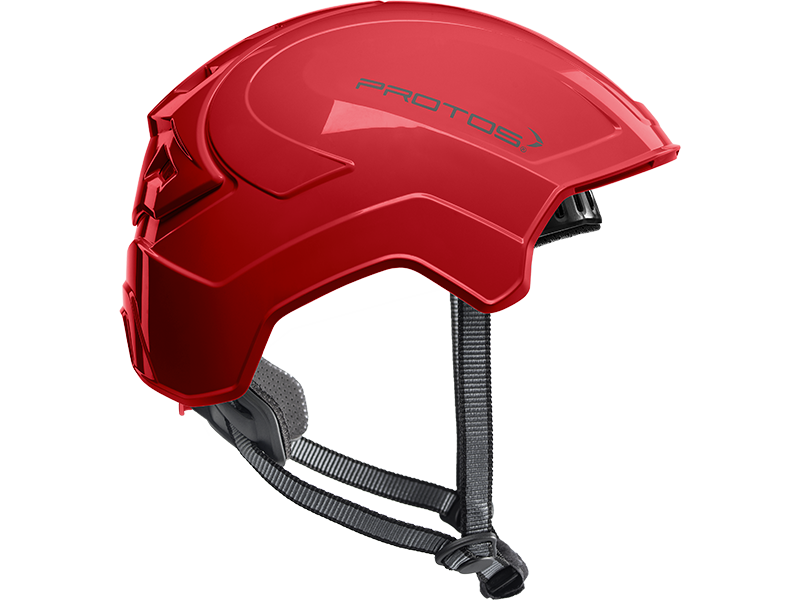 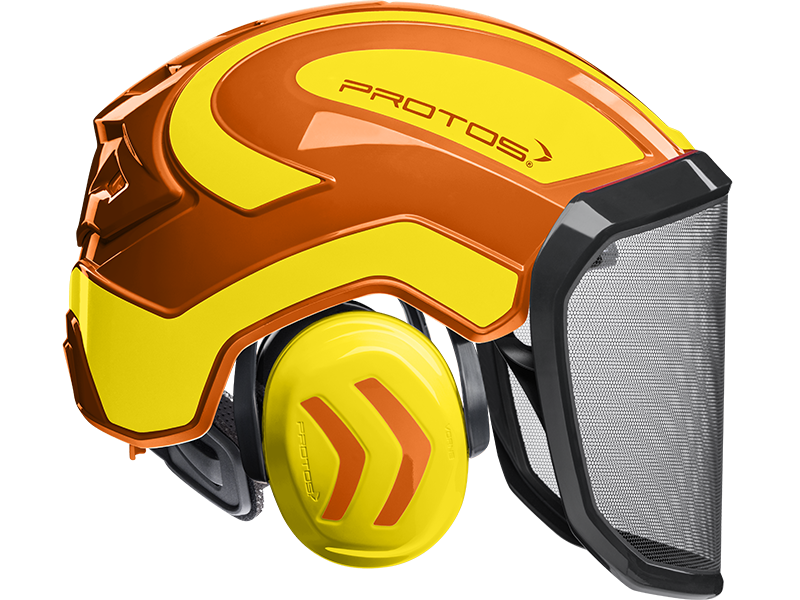 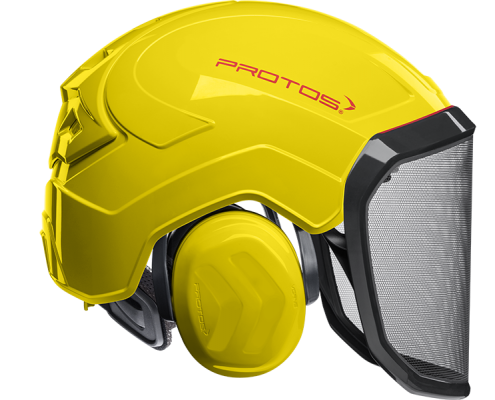 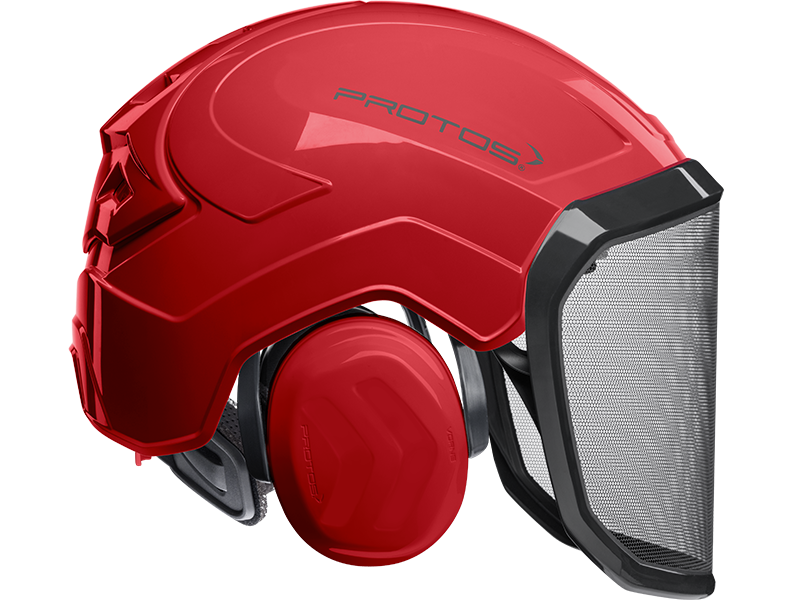 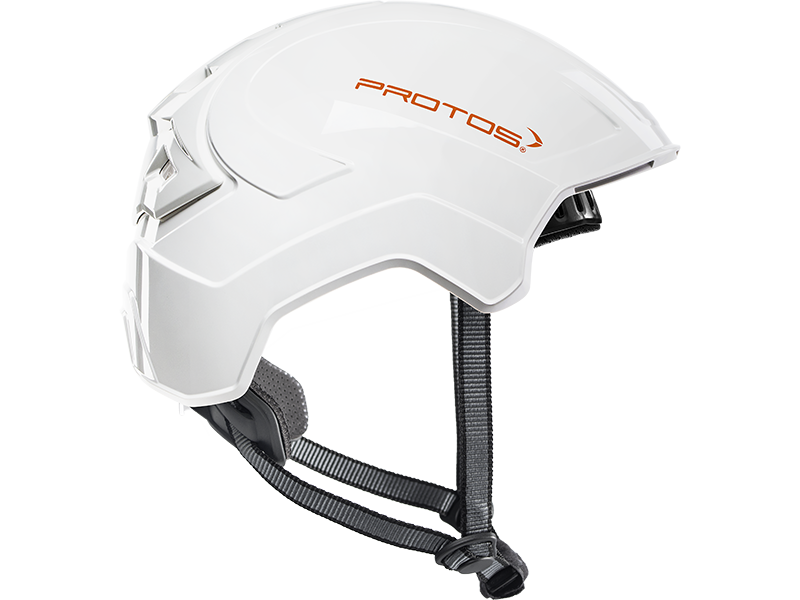 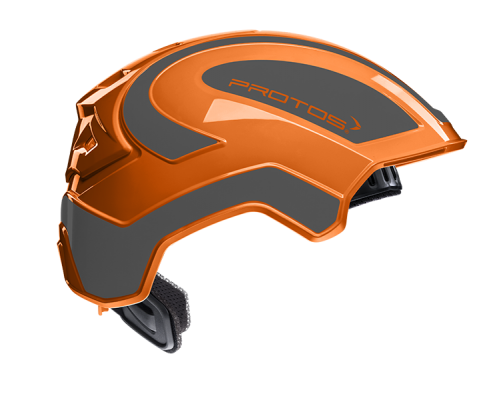 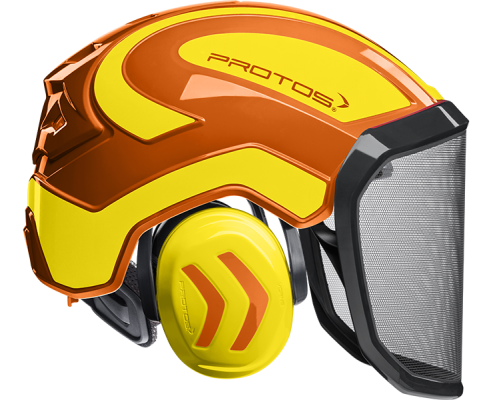 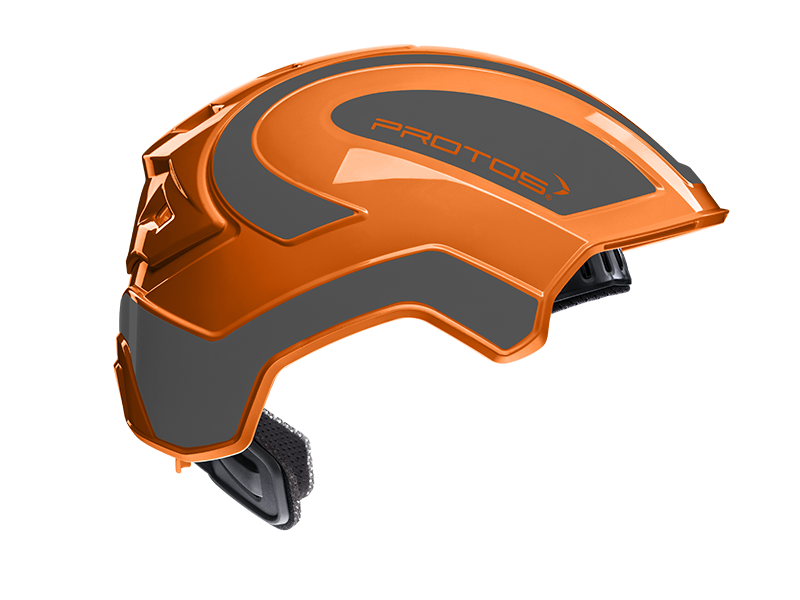 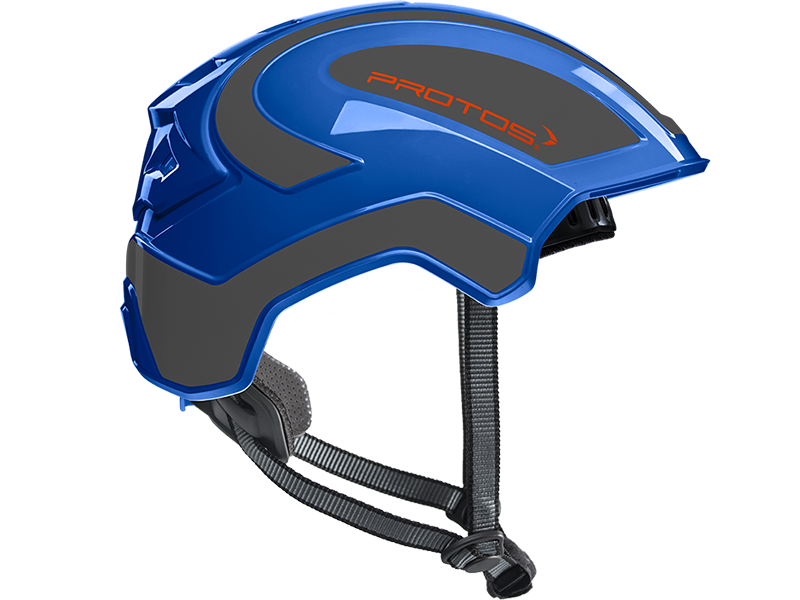 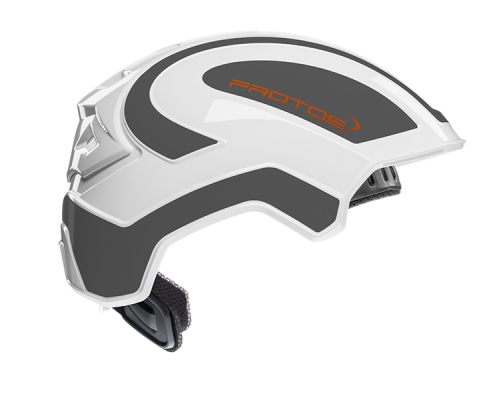 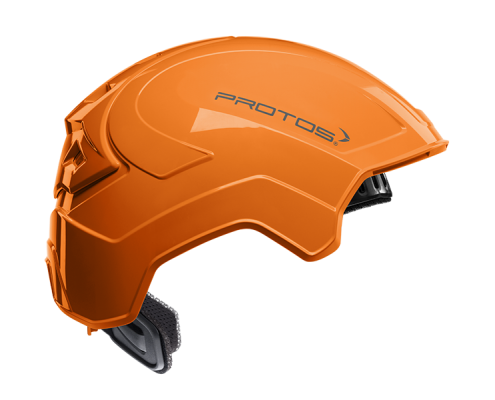 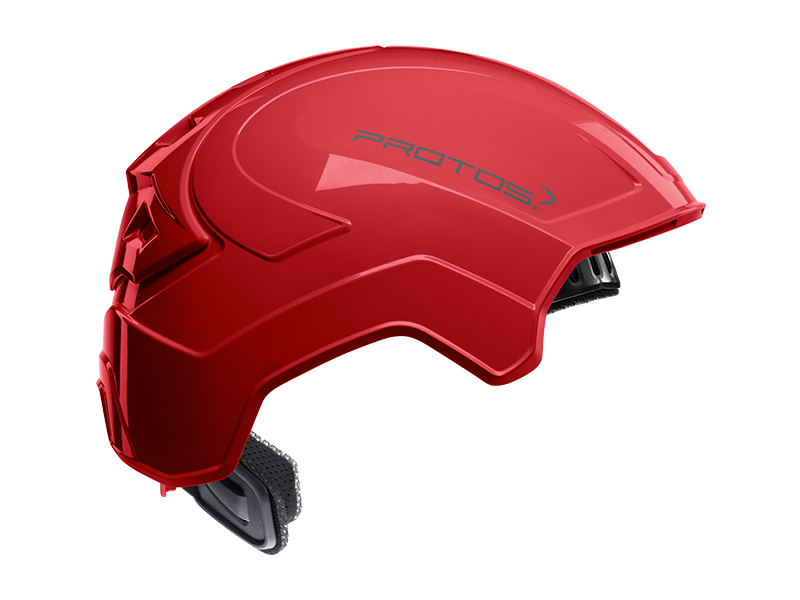 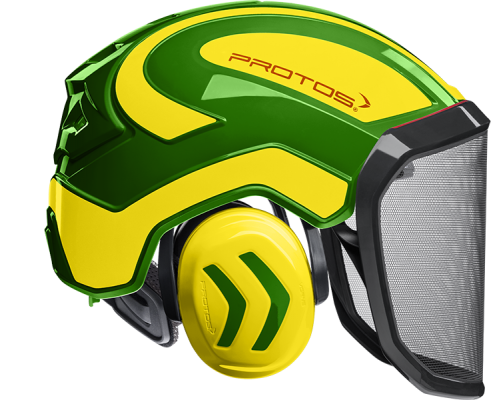 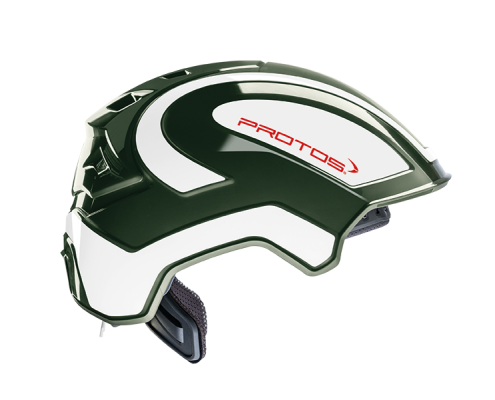 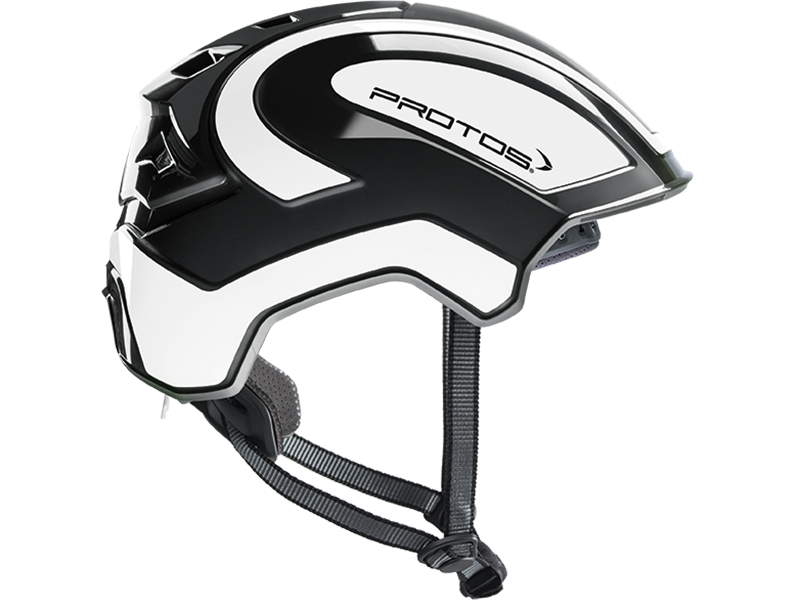 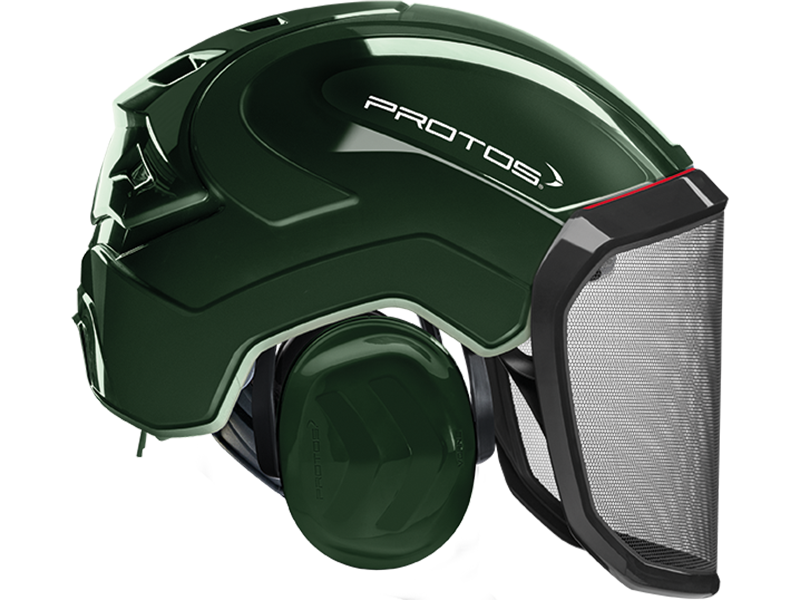 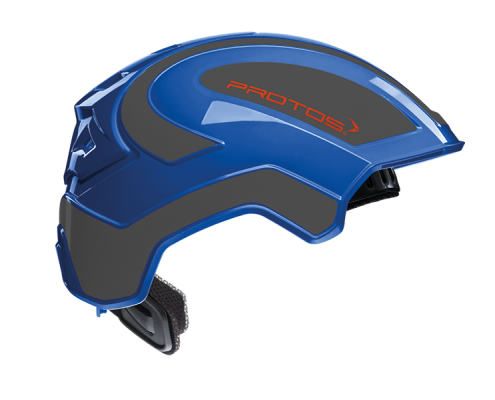 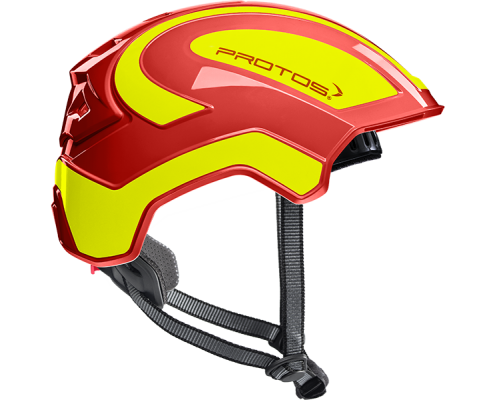 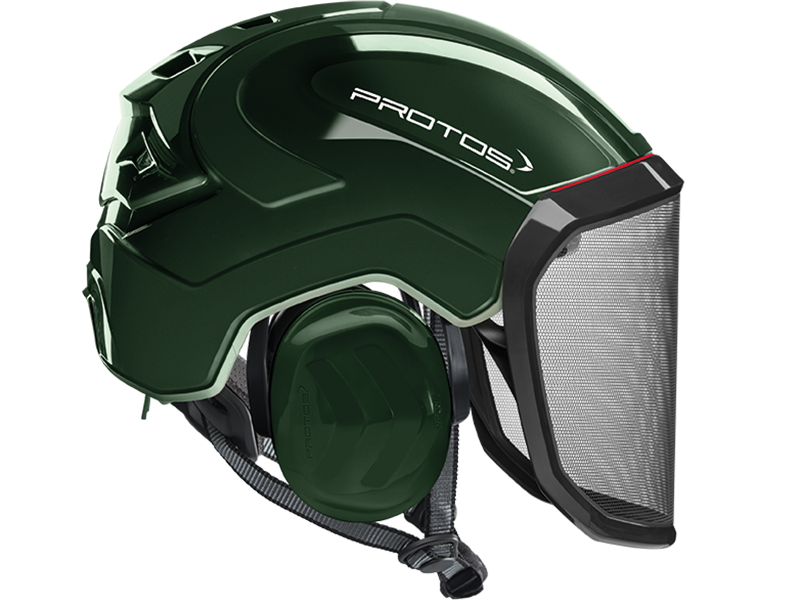 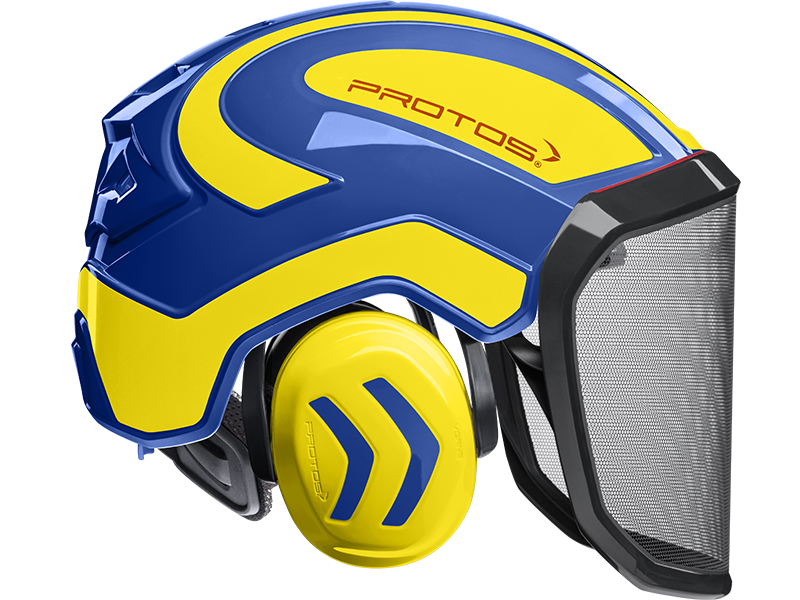 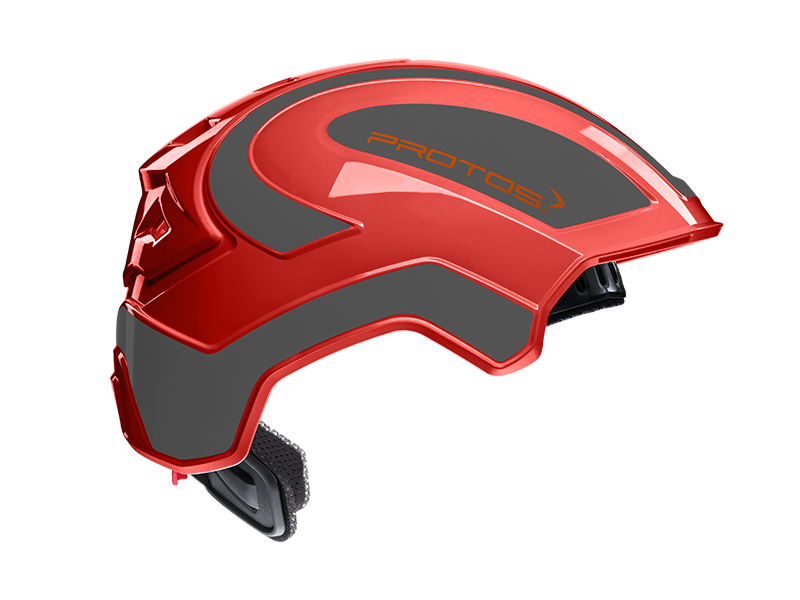 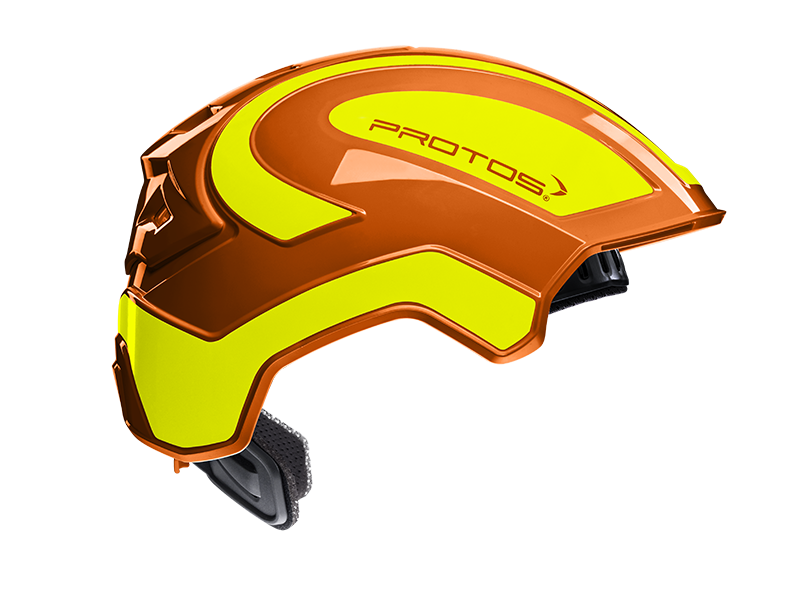 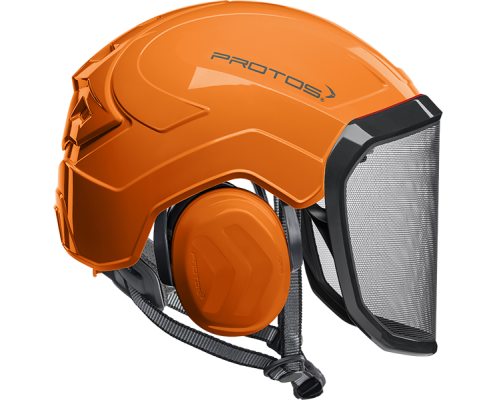 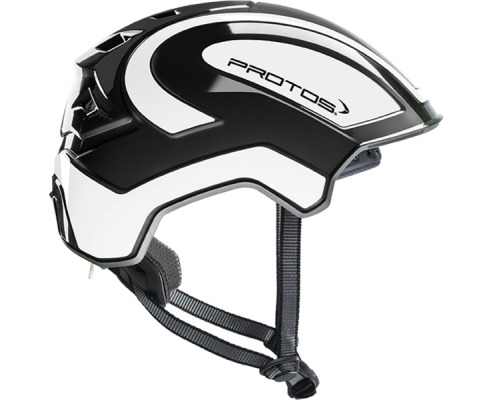 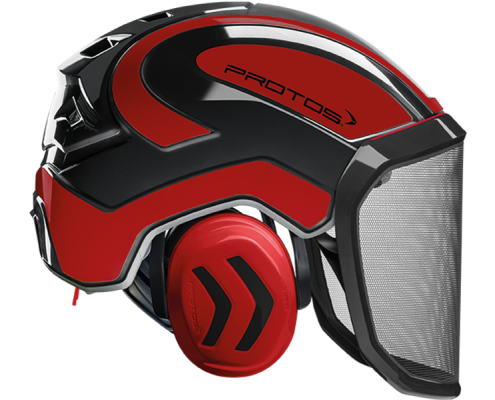 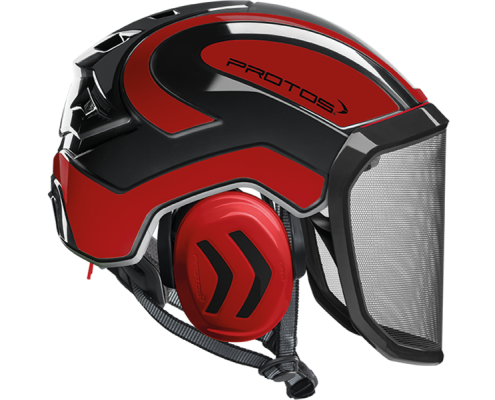 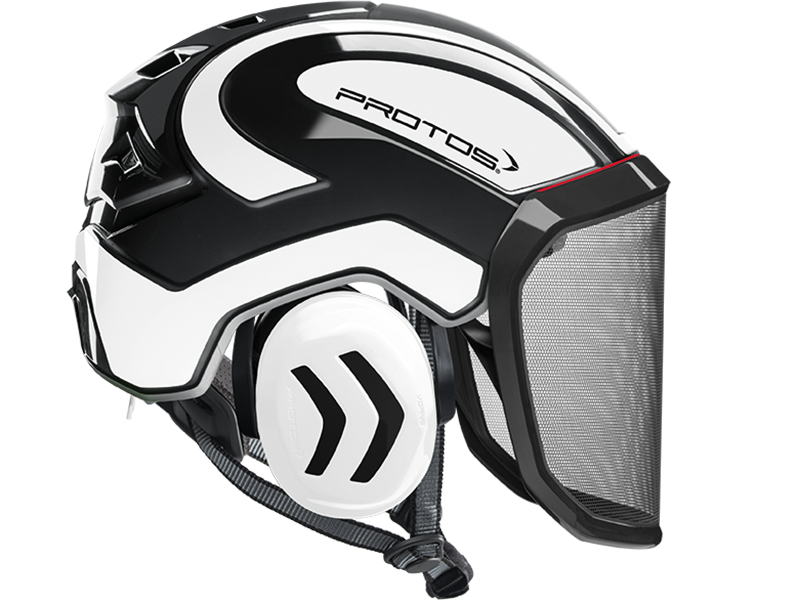 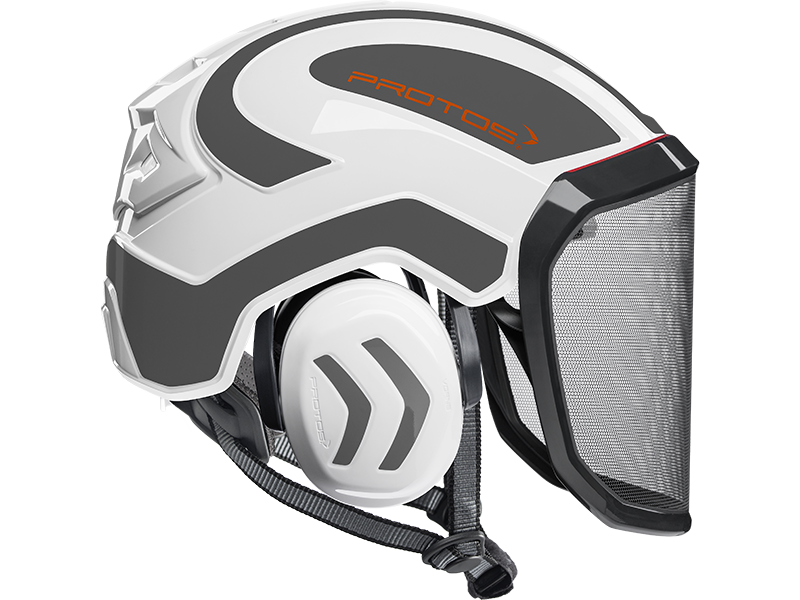 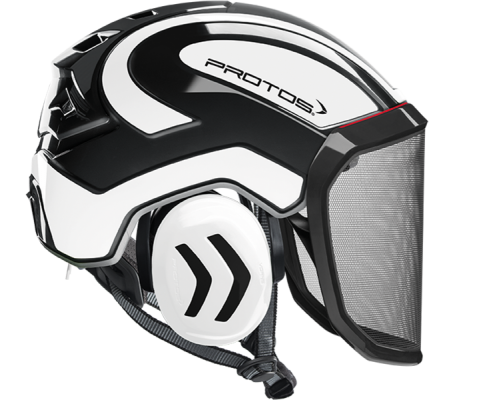 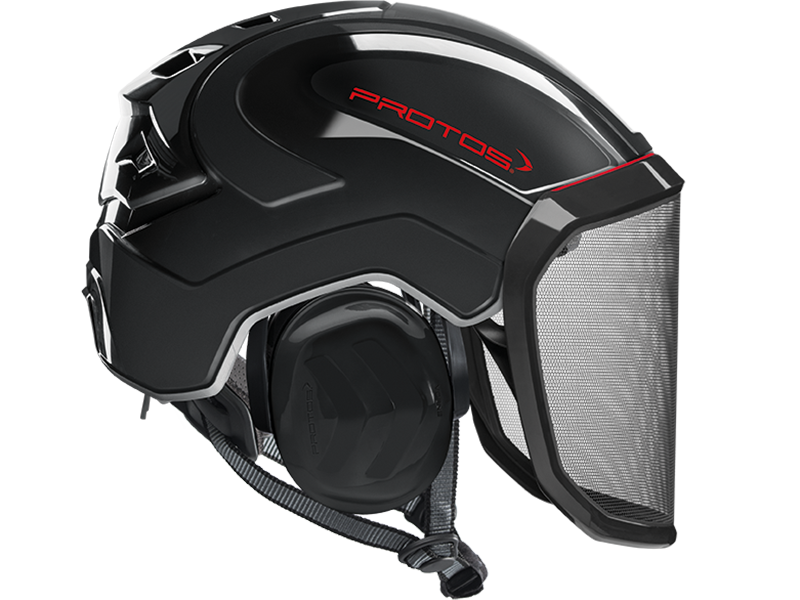 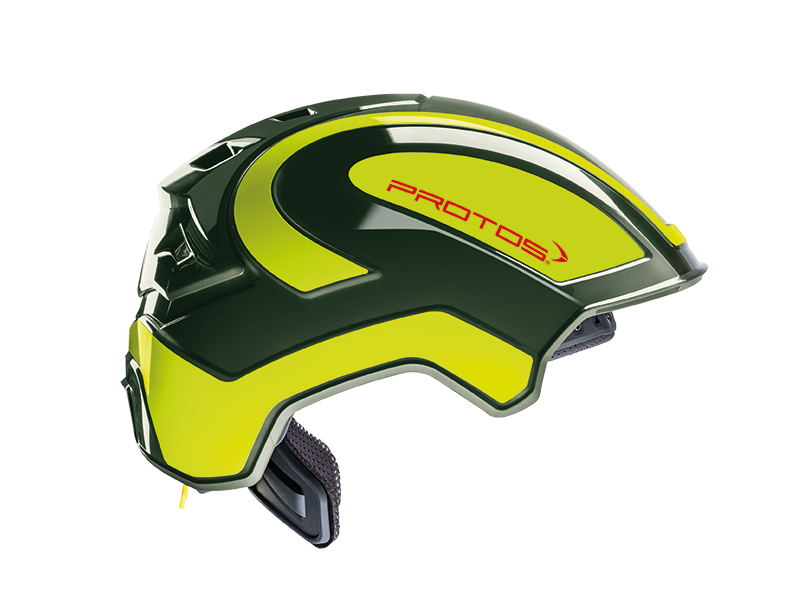 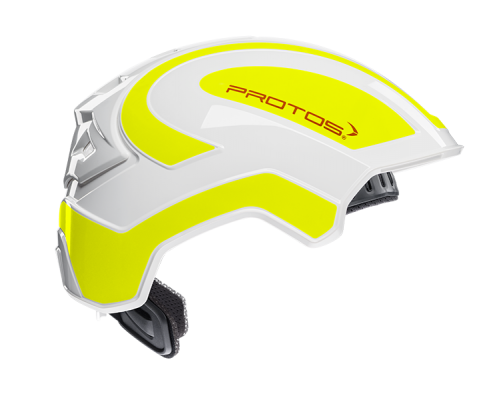 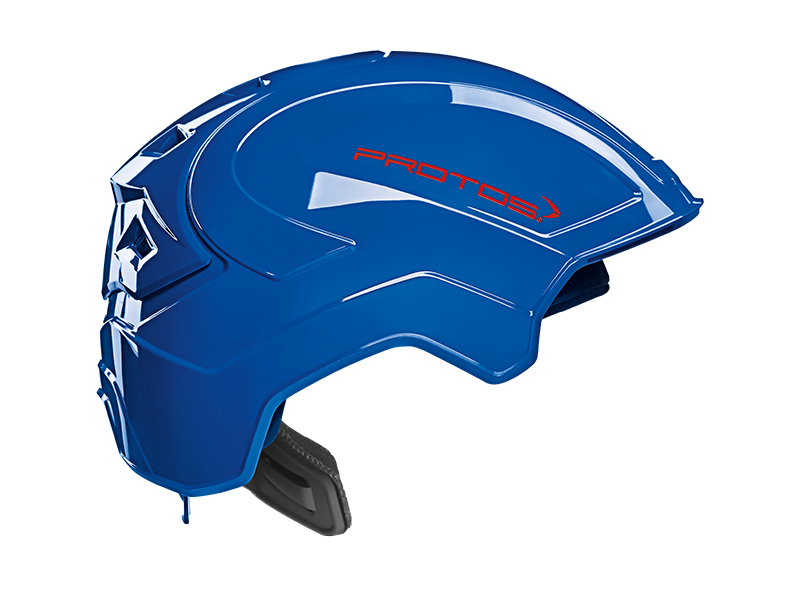 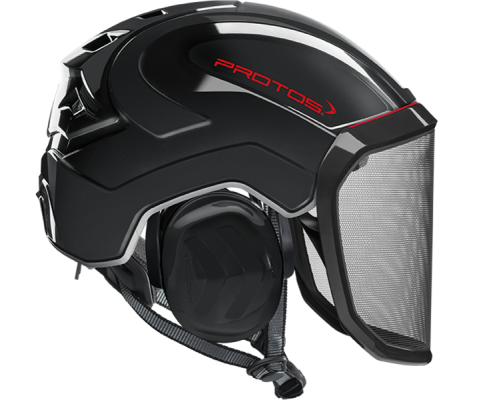 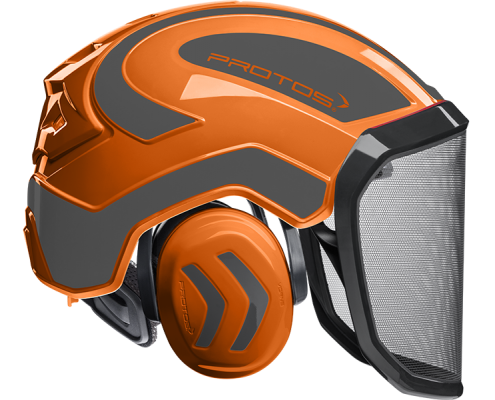 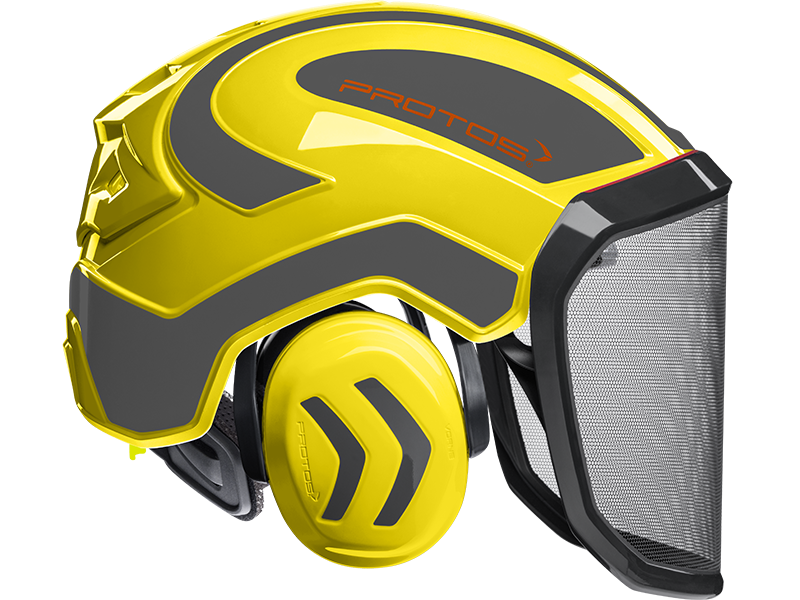 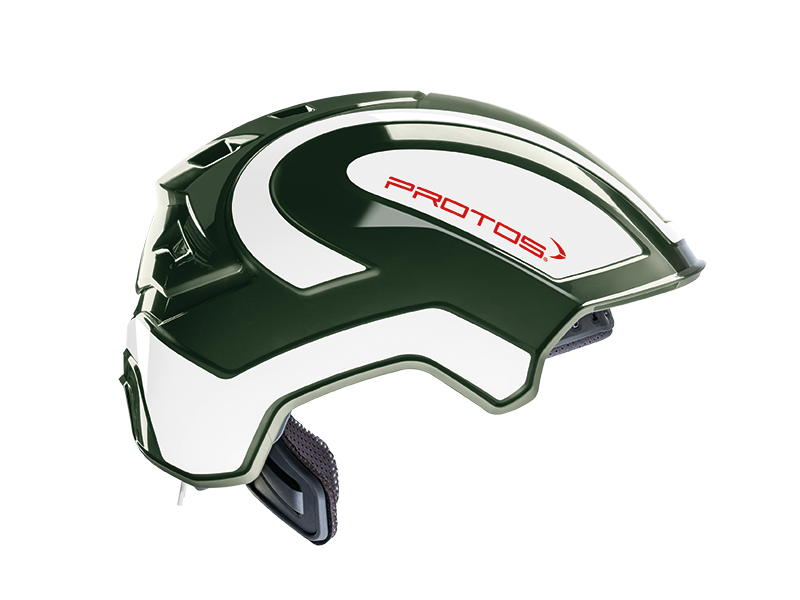 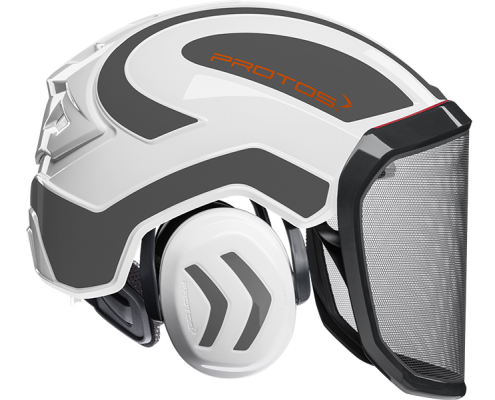 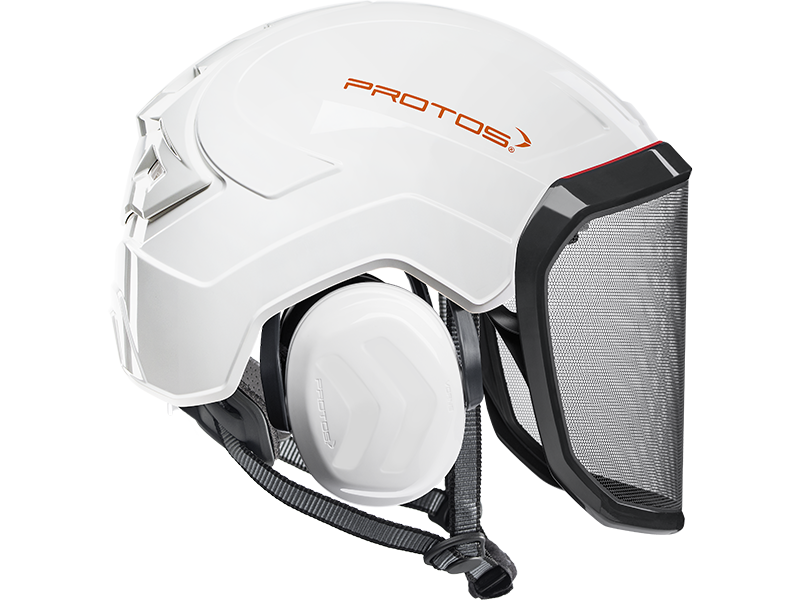 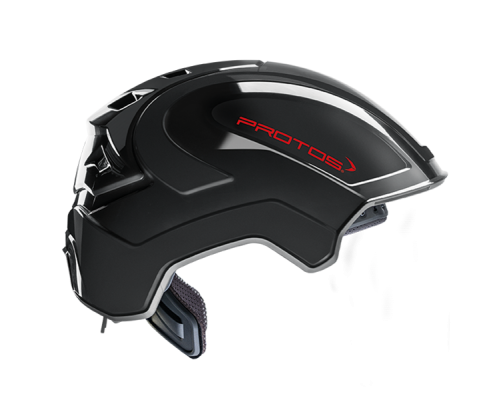 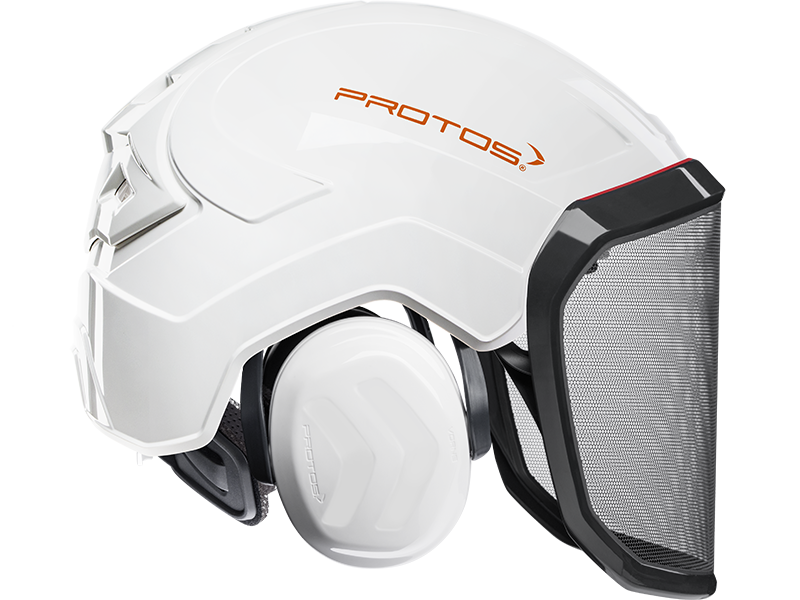 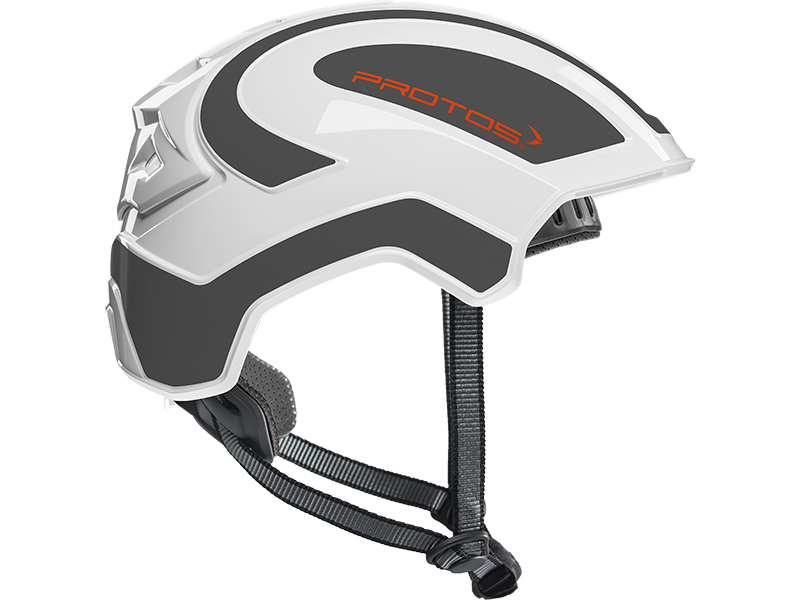 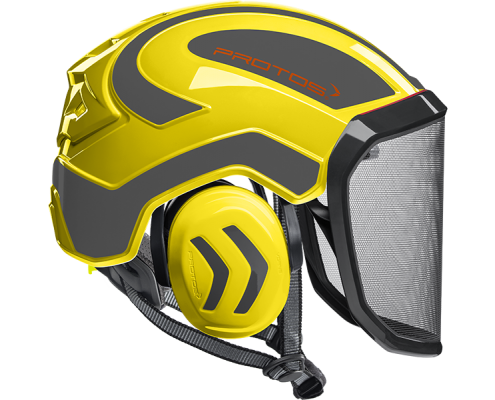 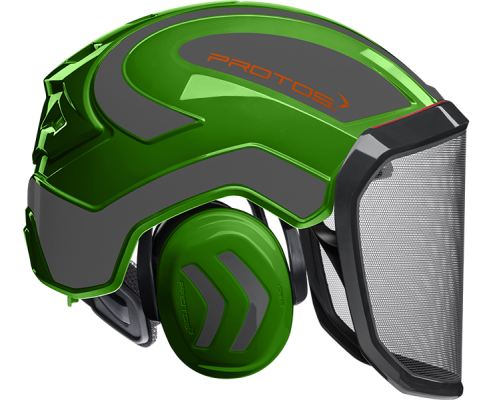 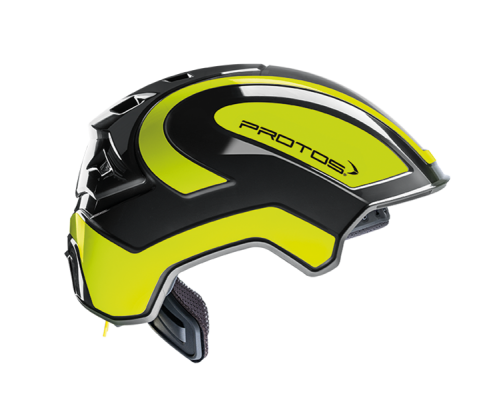 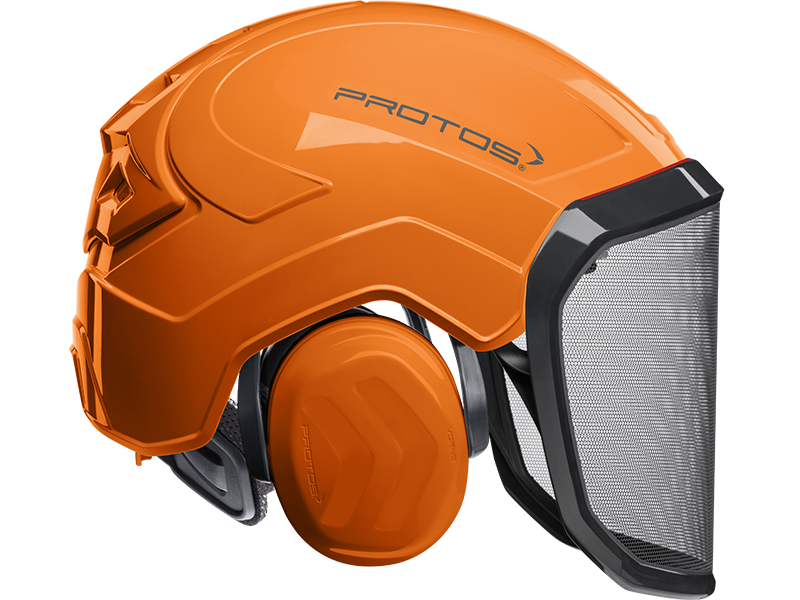 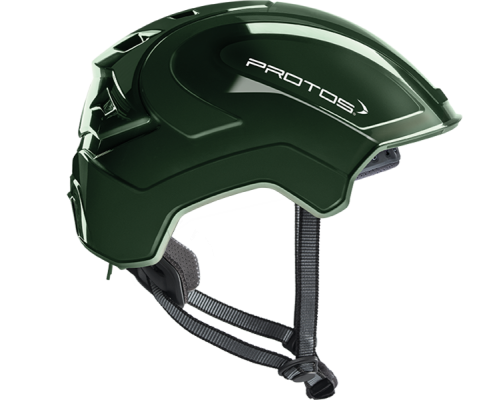 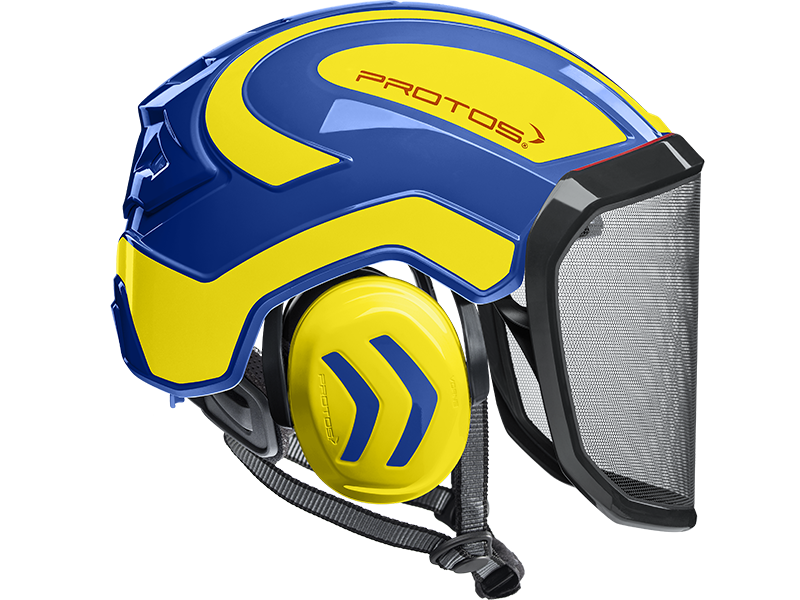 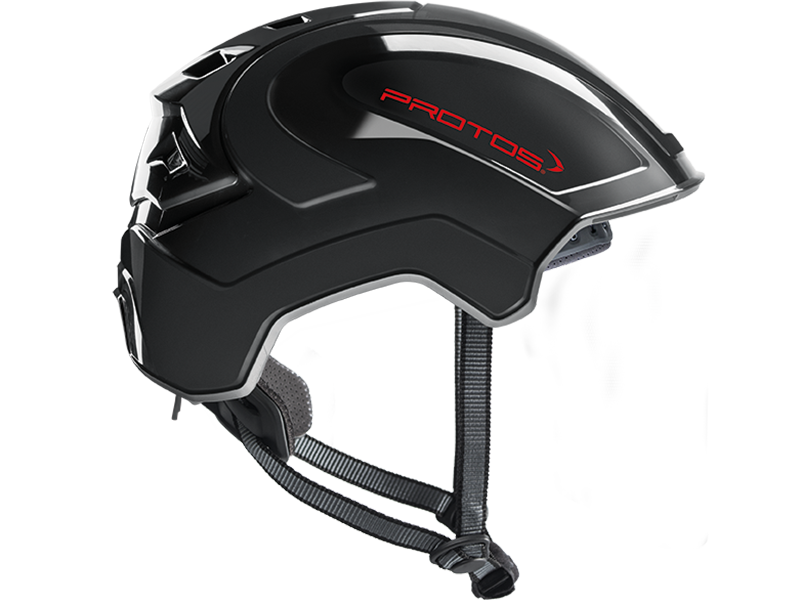 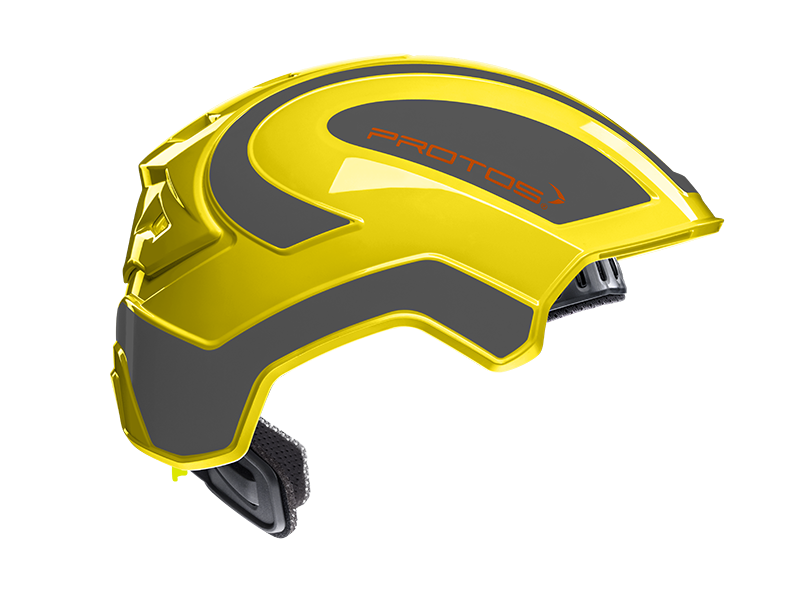 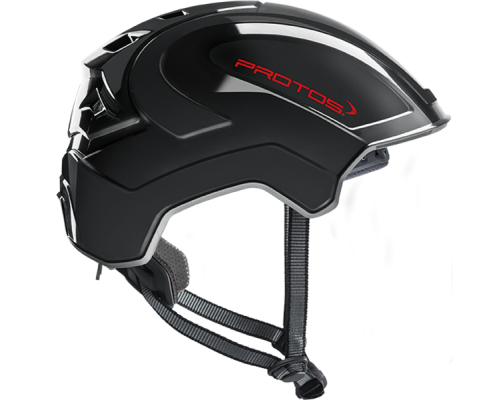 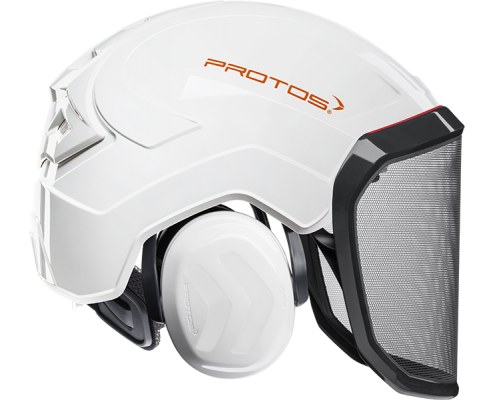 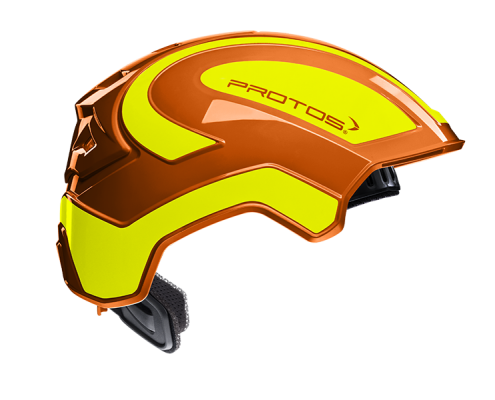 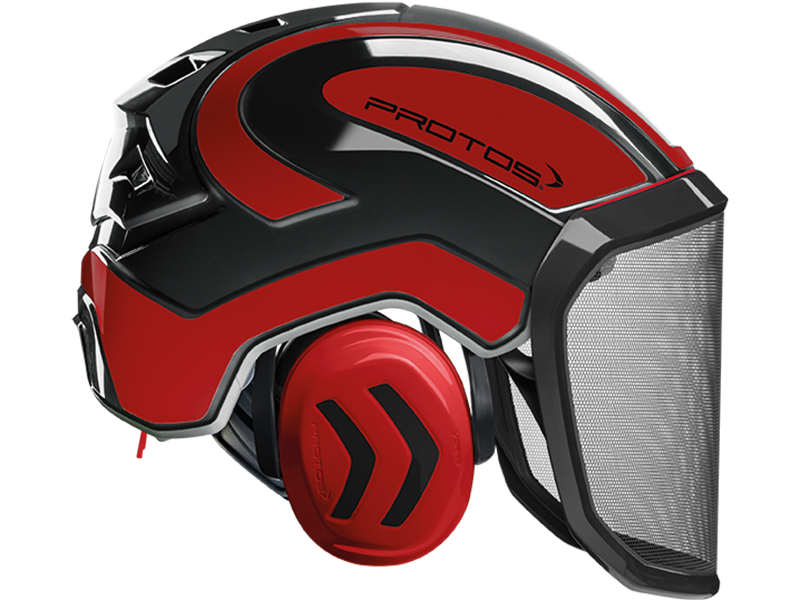 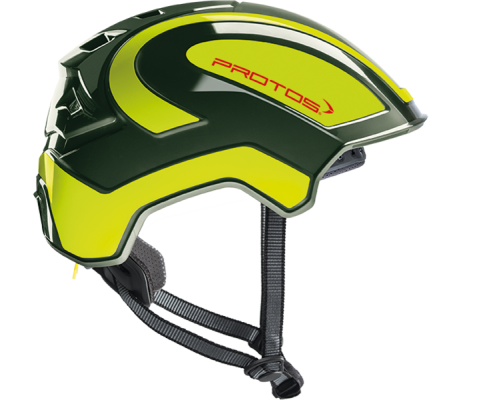 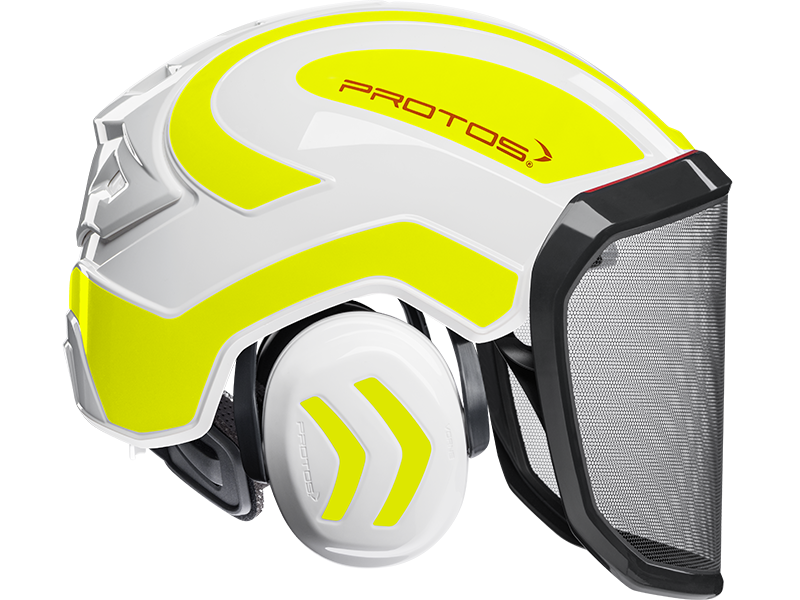 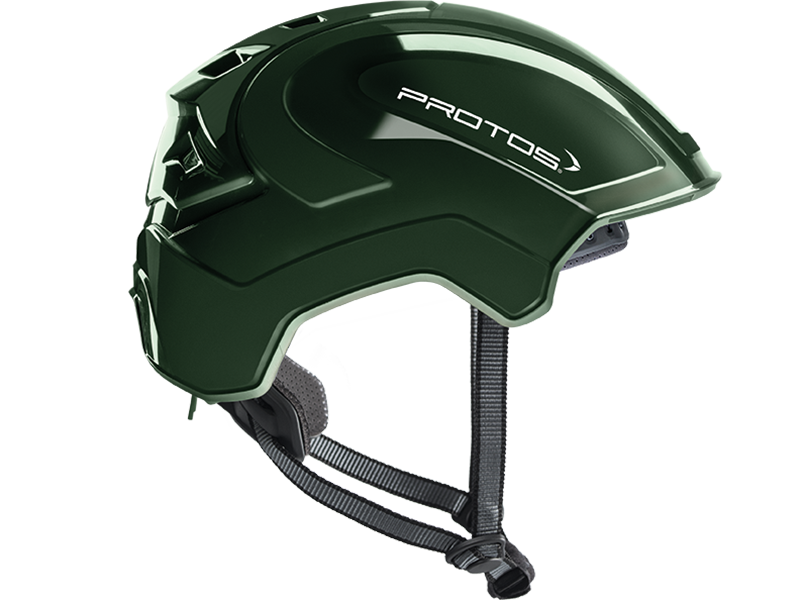 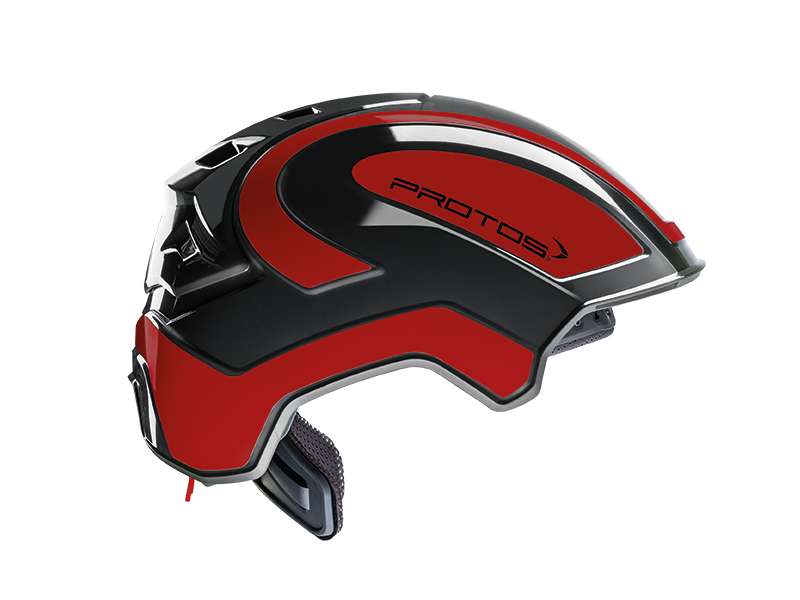 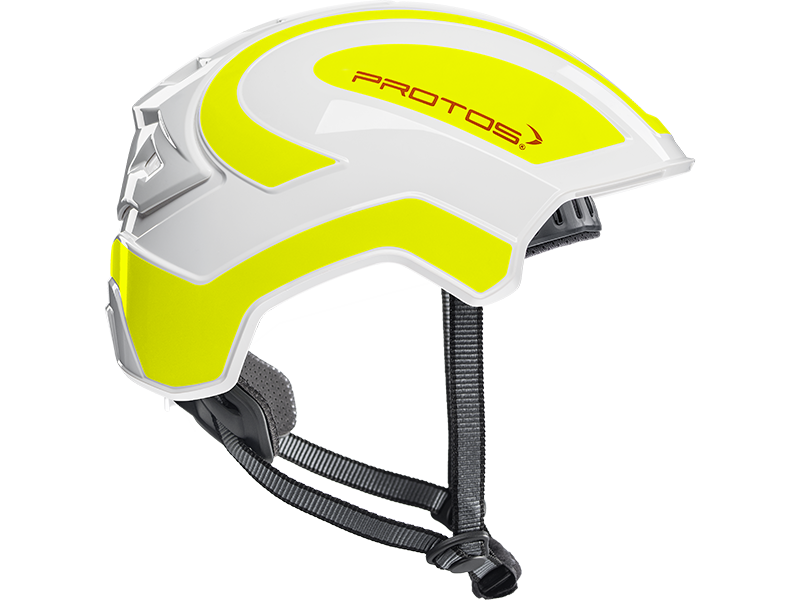 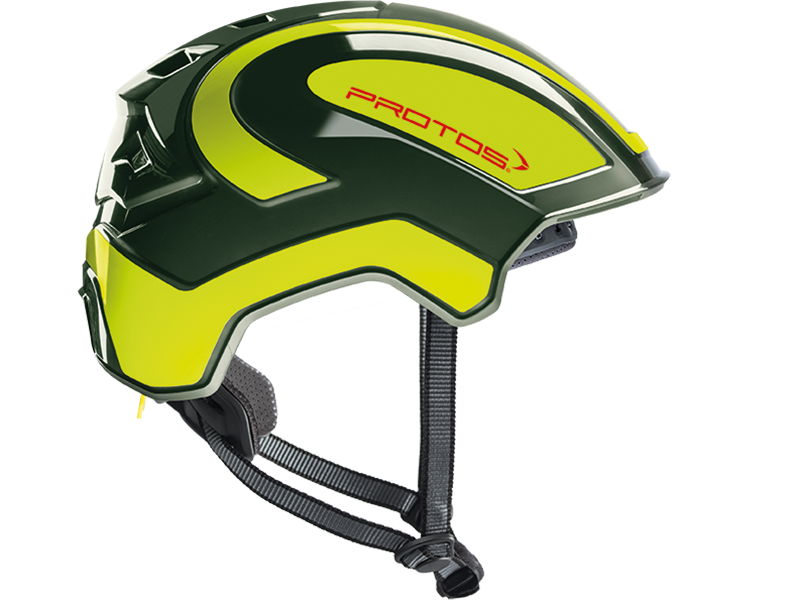 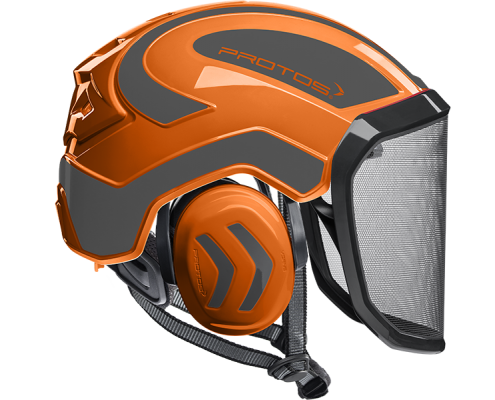 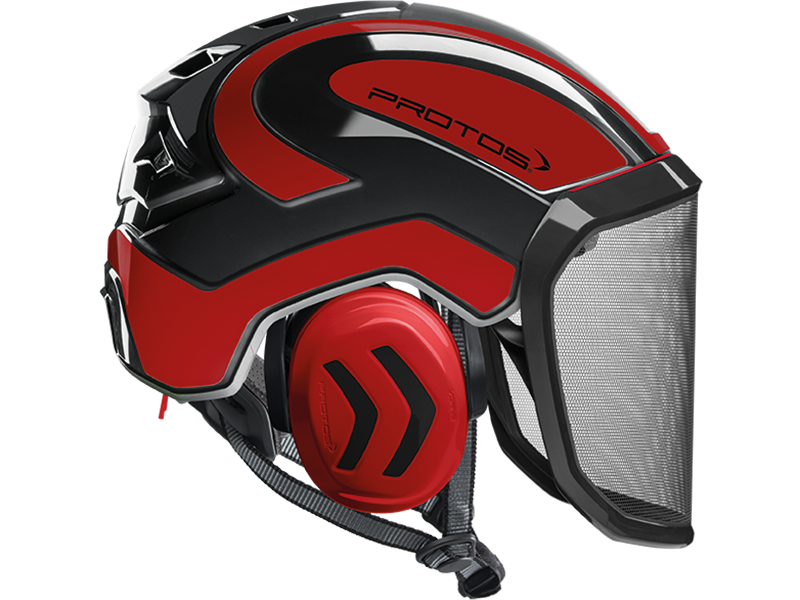 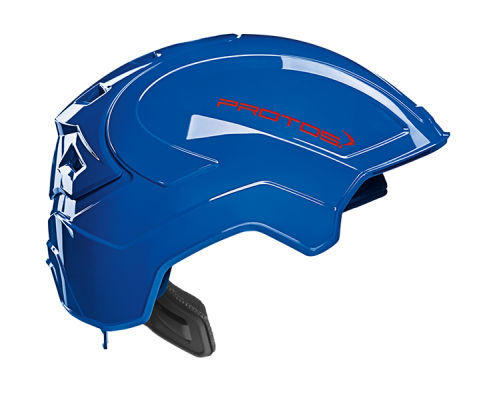 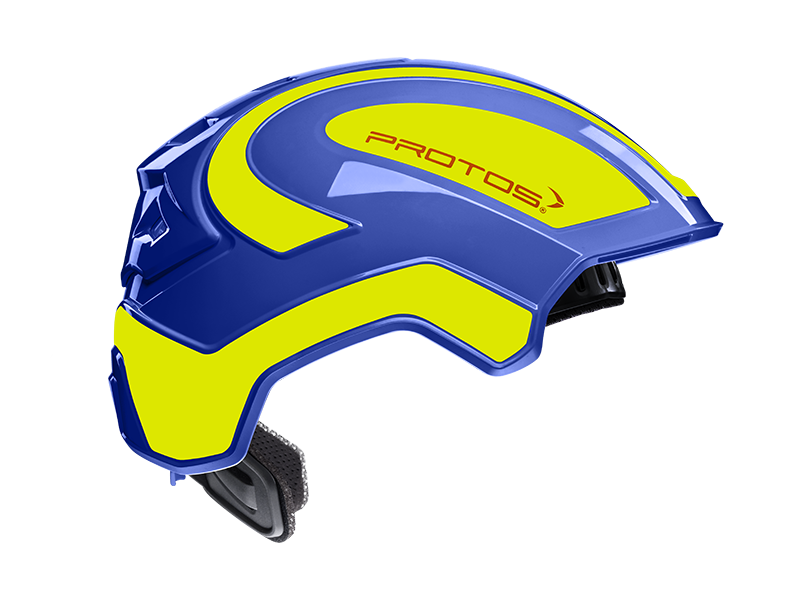 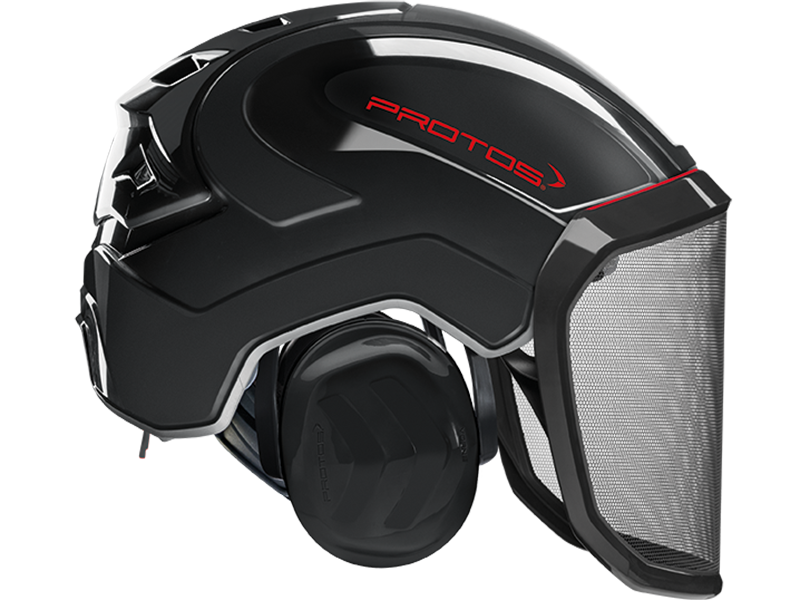 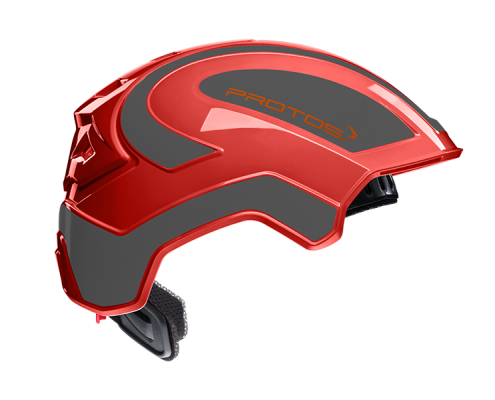 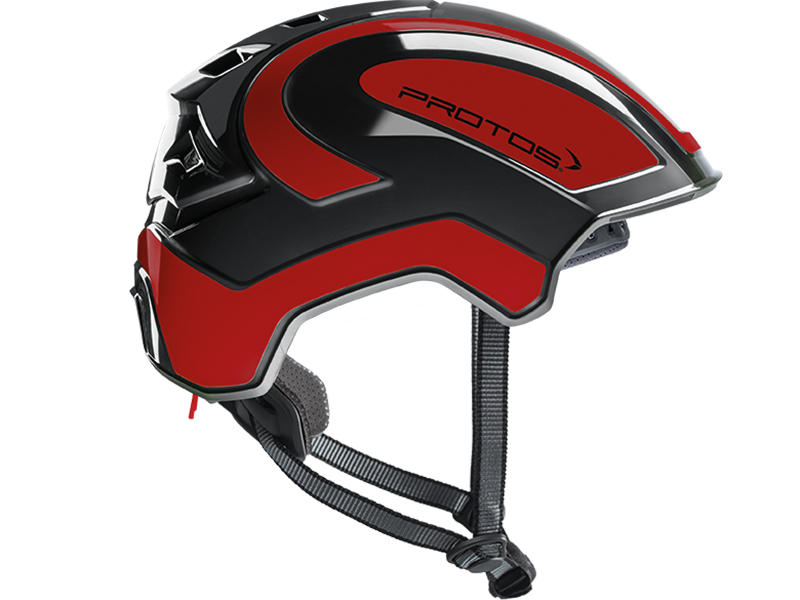 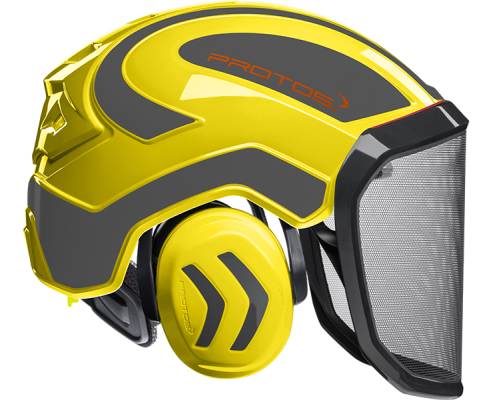 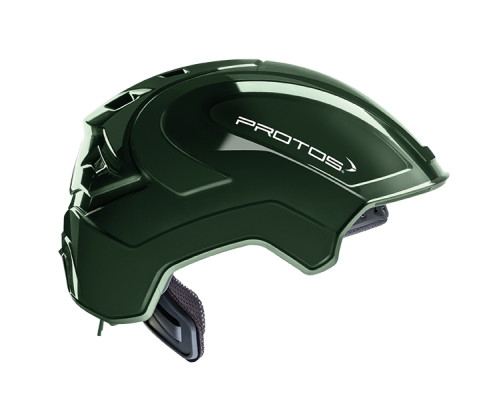 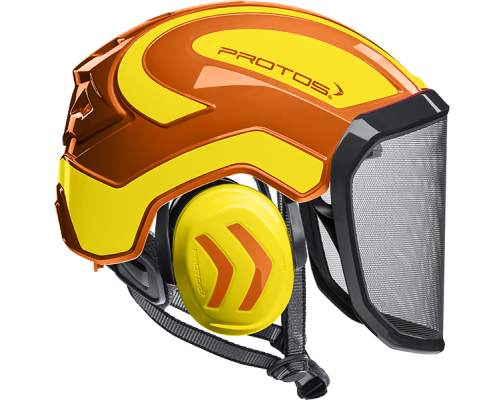 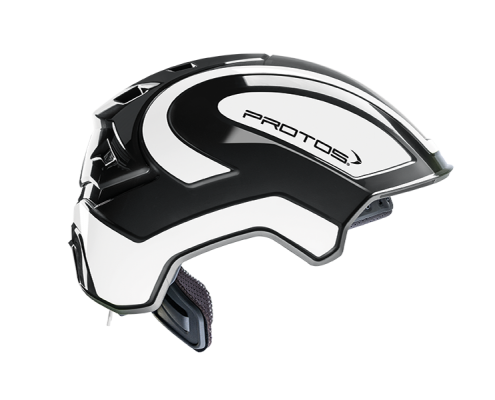 Protect your PROTOS® Integral Helmet by safely storing it in a specially designed helmet bag.